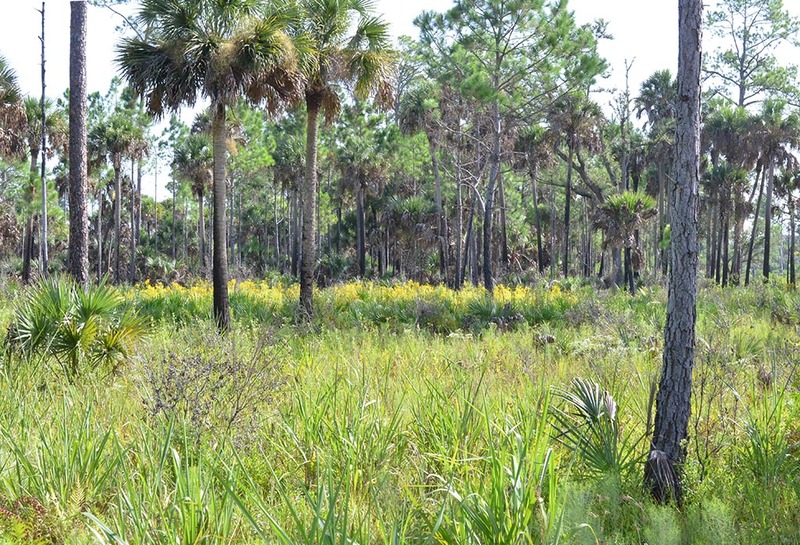 We were last here on July 10, 2016. 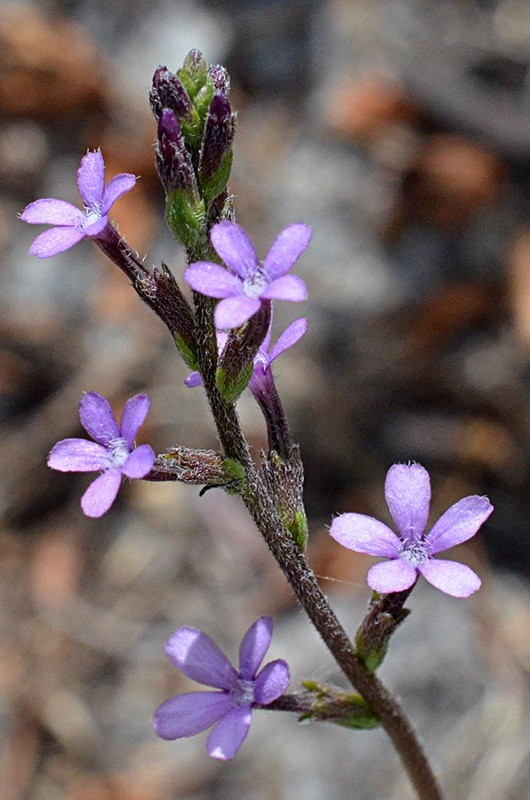 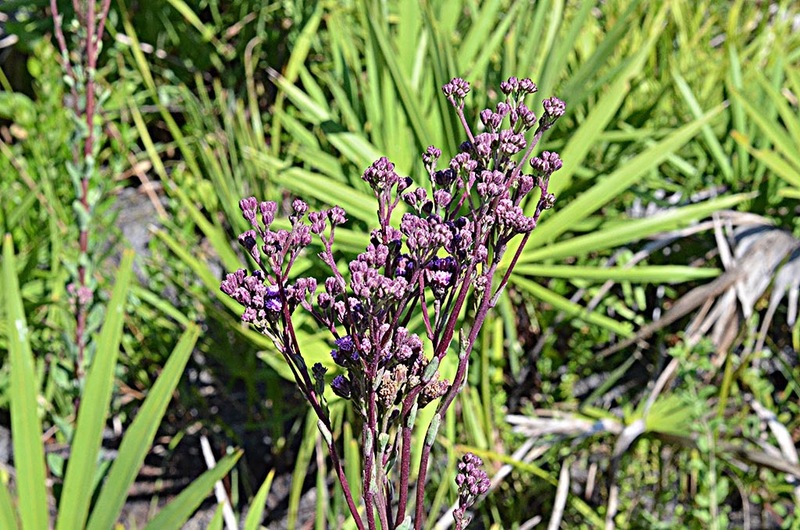 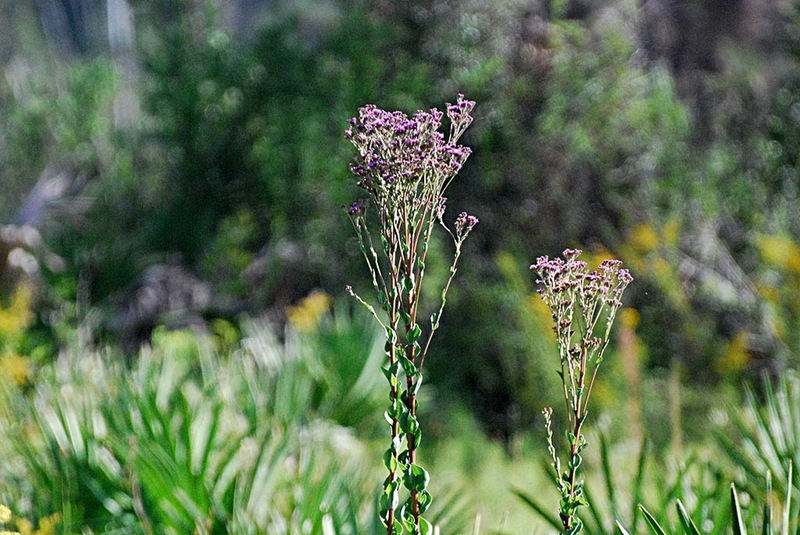 The Florida endemic Florida Indian plantain was not yet in bloom, evident only as distinctive basal leaves. 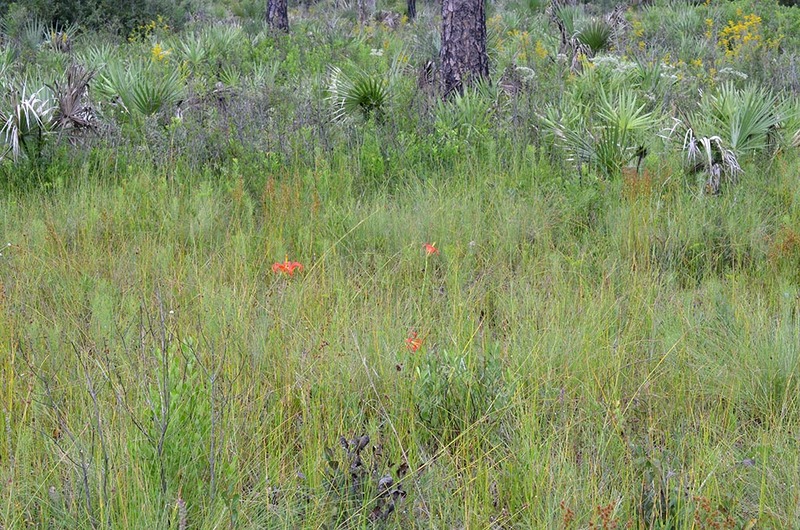 I was hoping to find it in bloom on this visit. 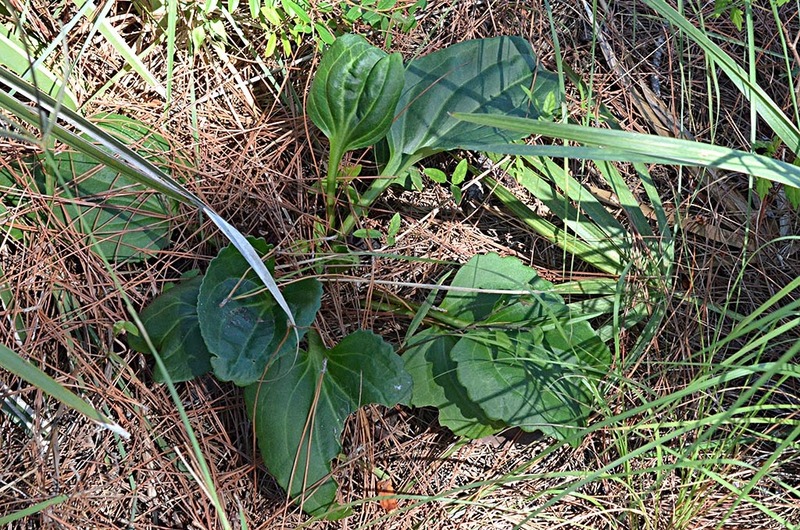 On our last visit, July 10 this year, I found a half-dozen plants along the trail. None was blooming and none had even put up a stalk, yet. 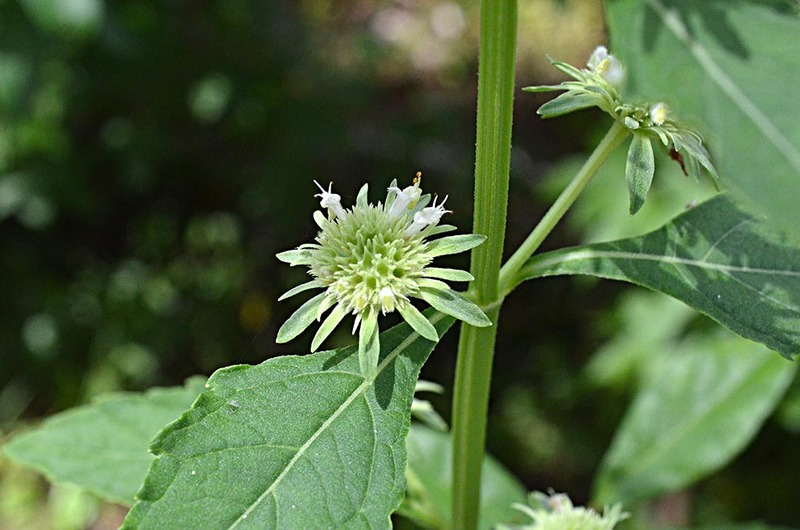 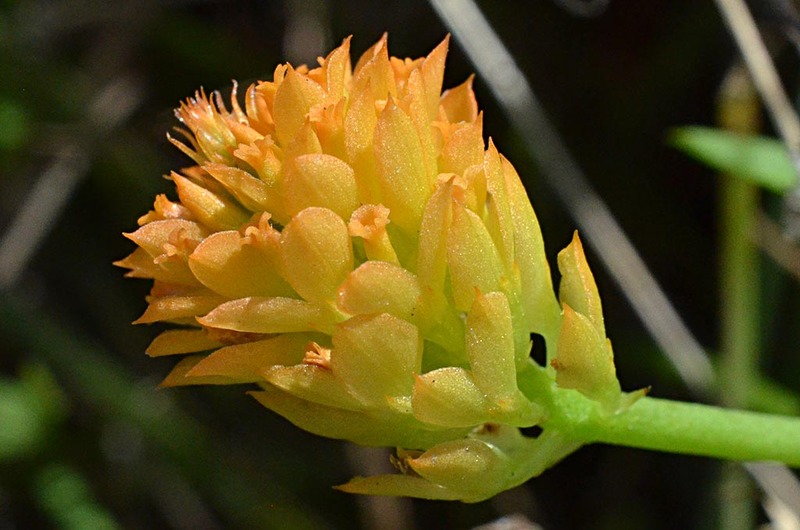 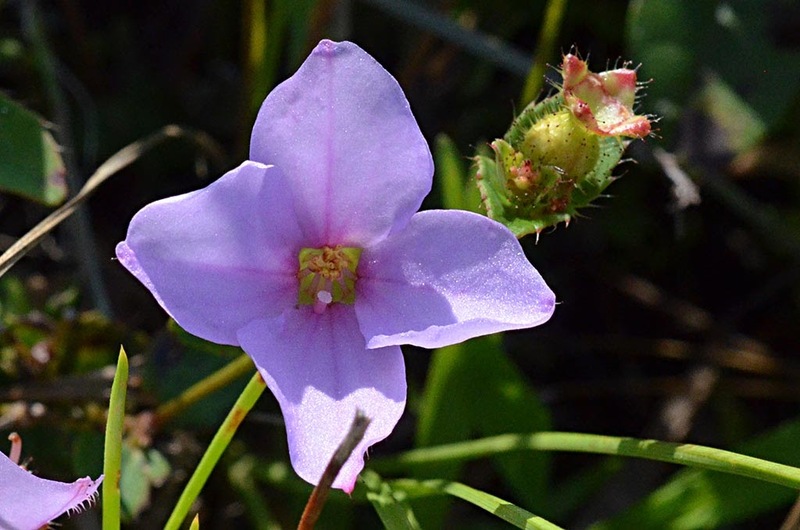 I was hoping to find some of them in bloom on this visit; however, the trail had recently been mowed and widened, which wiped out any plantains along the trail. 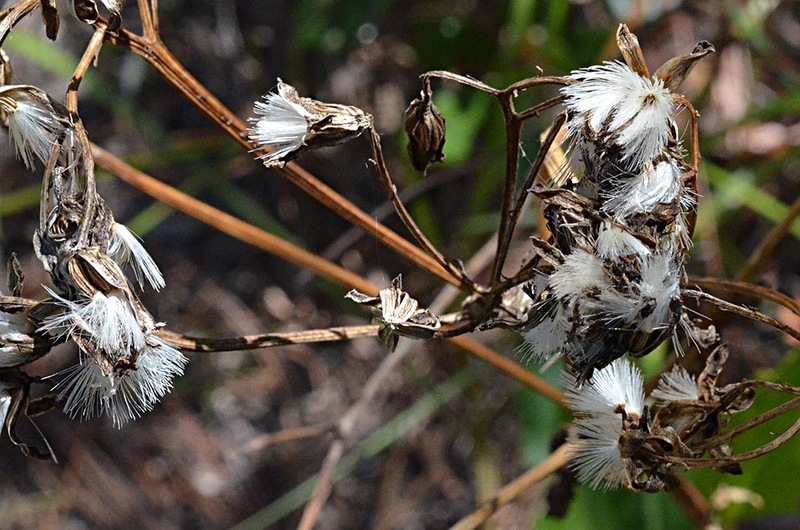 After a bit of searching I found one whole plant on a side trail, but it had already bloomed and turned to seed. 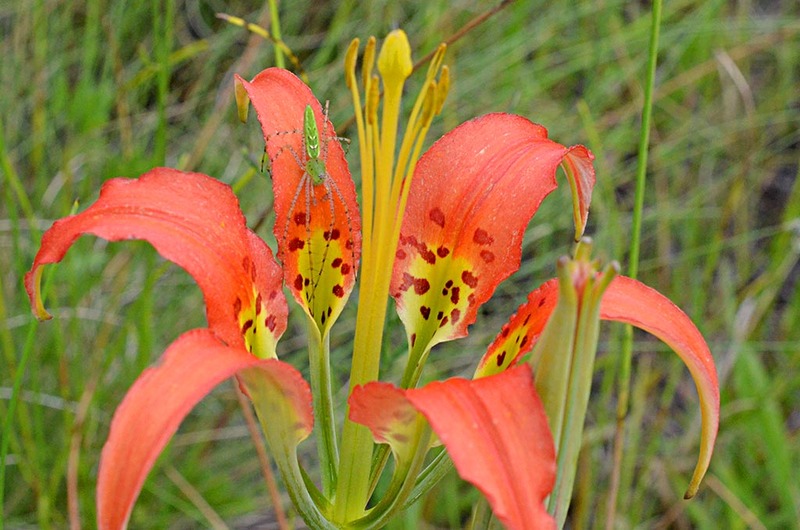 Too late for the blooming. Maybe I can catch it just right next year. 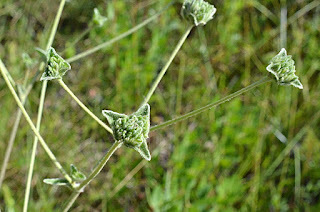 Early August should do it. 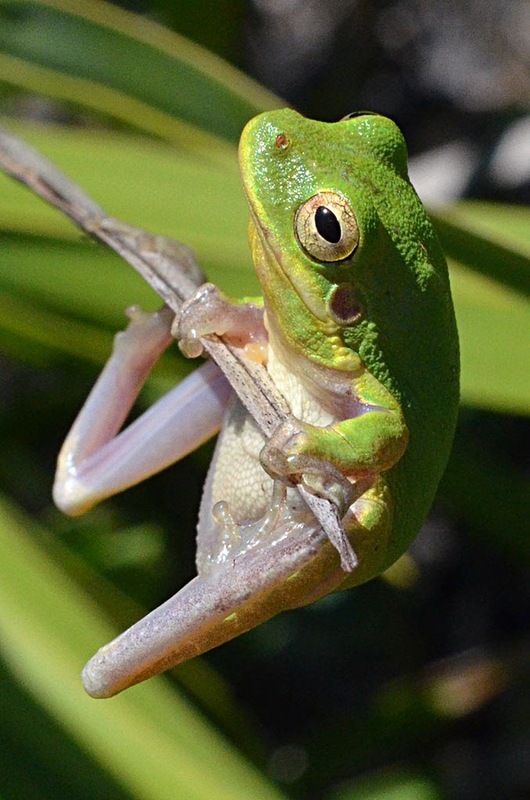 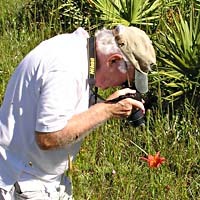 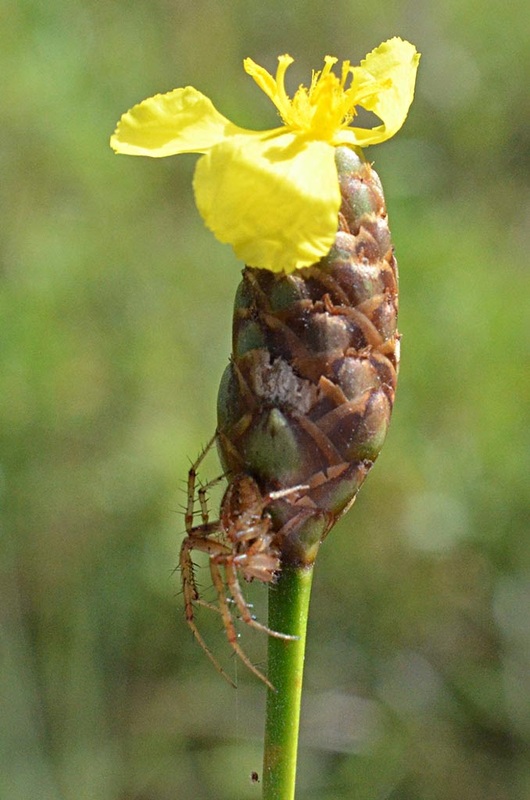 There are only two species of Seymeria in Florida: S. pectinata and S. cassioides. 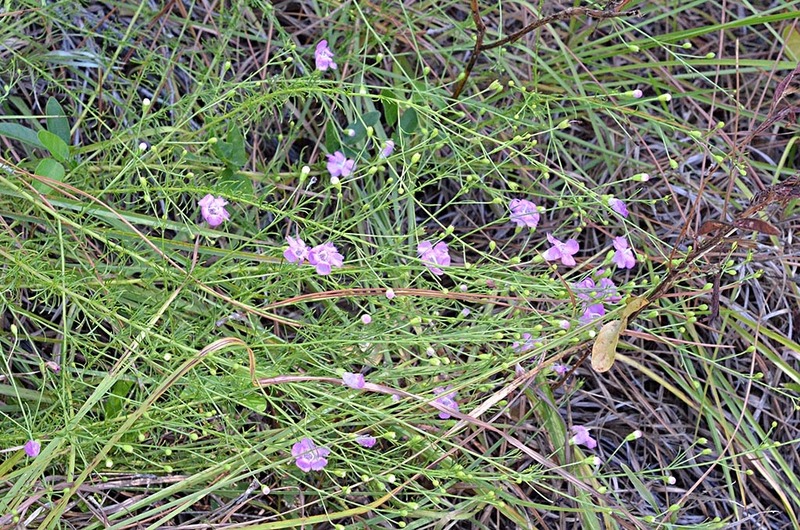 The flowers of S. pectinata are hairy, while S. cassioides flowers are smooth. 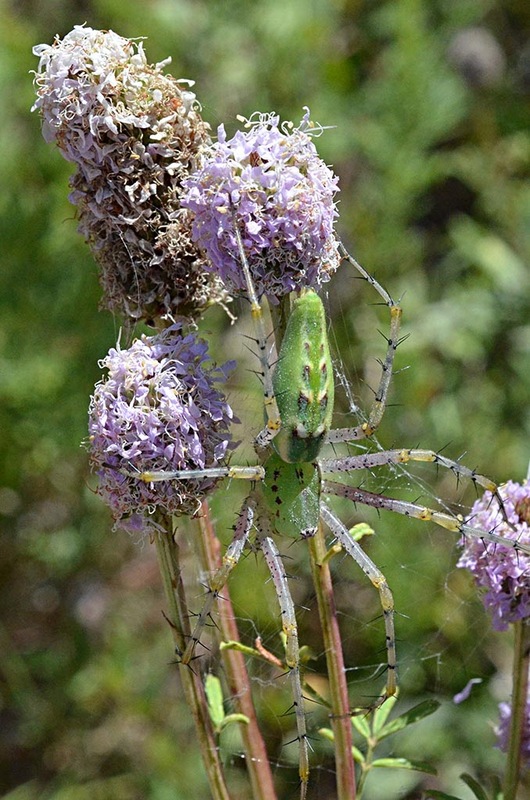 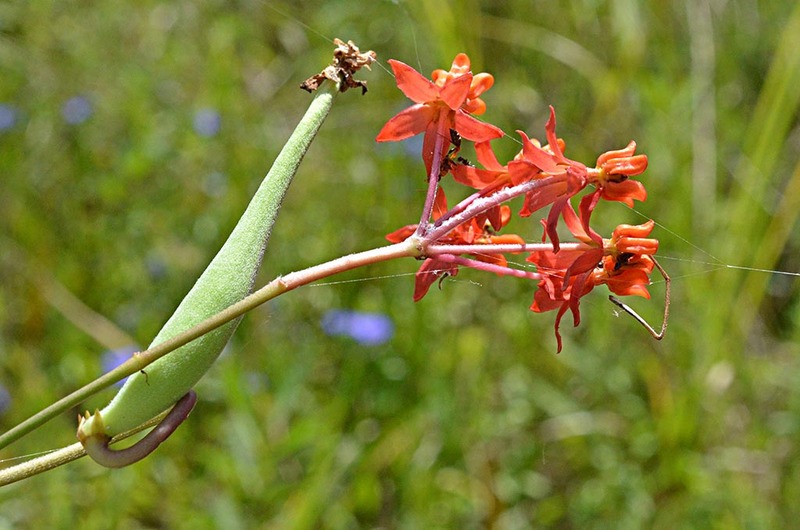 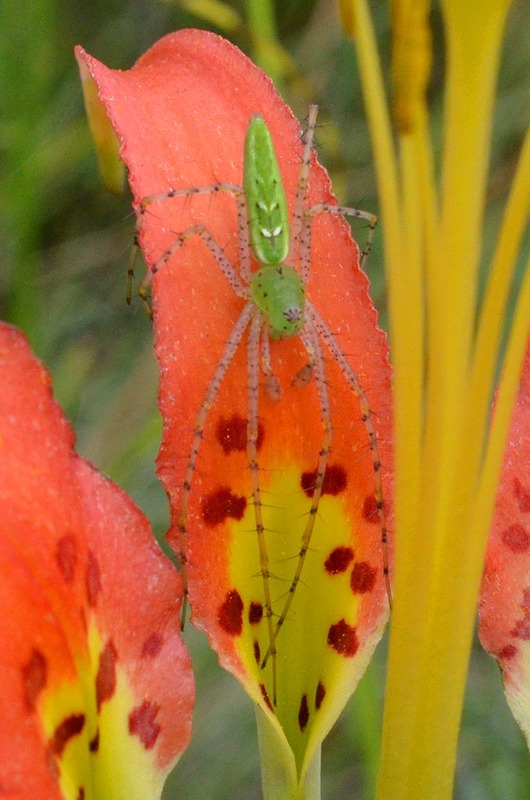 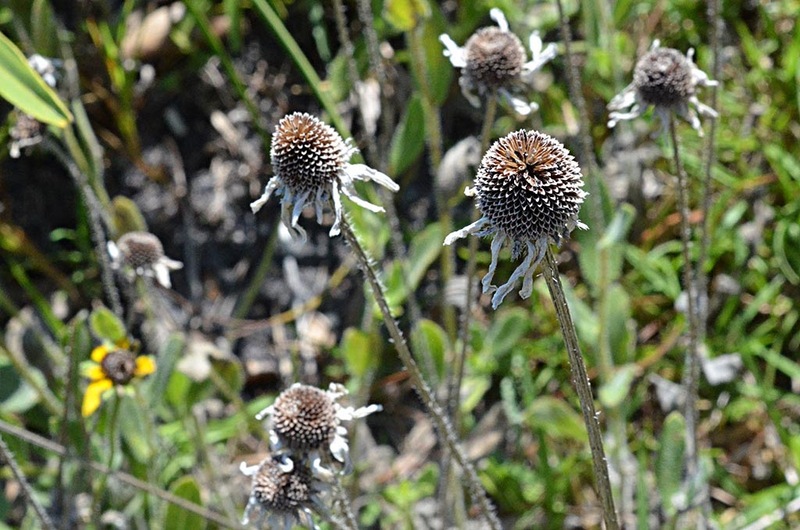 In the upper right photo, a green lynx spider is perched on old flower heads of Dalea carnea. 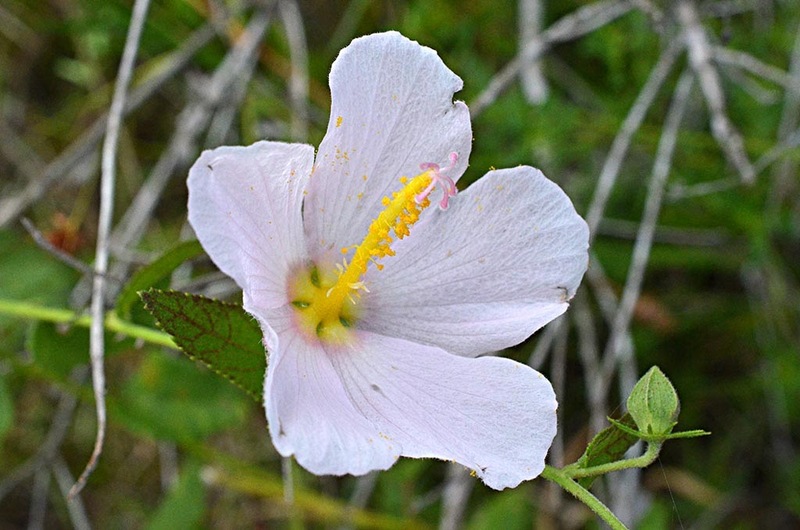 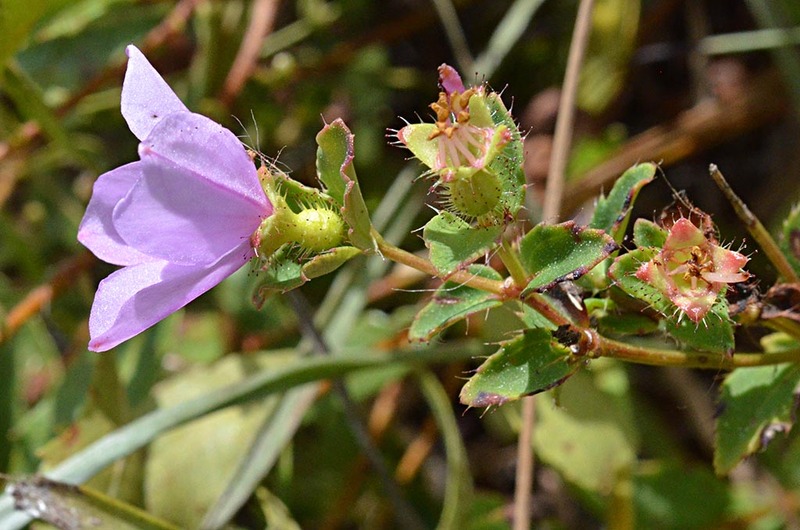 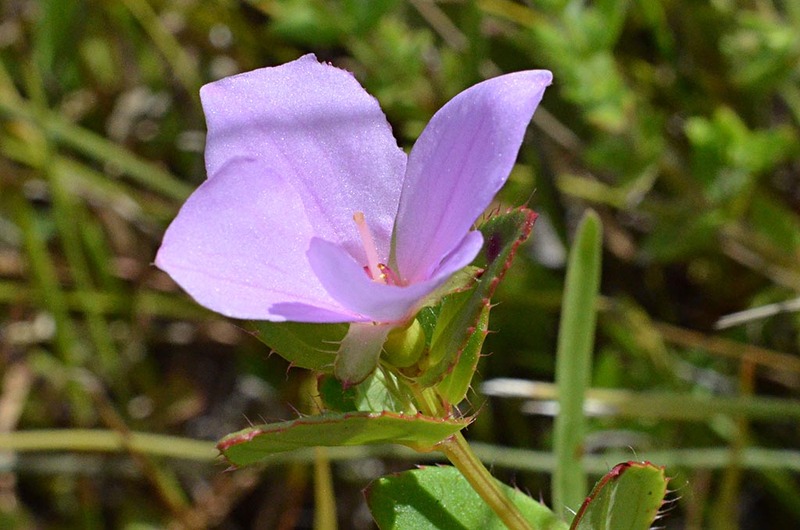 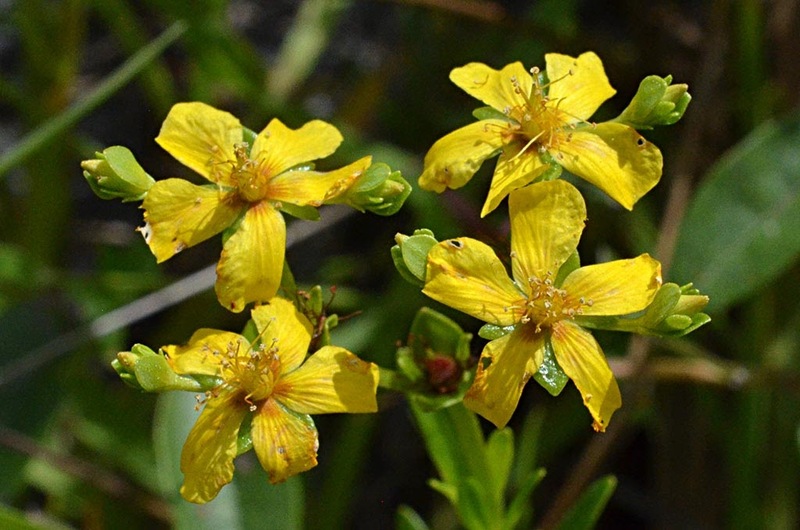 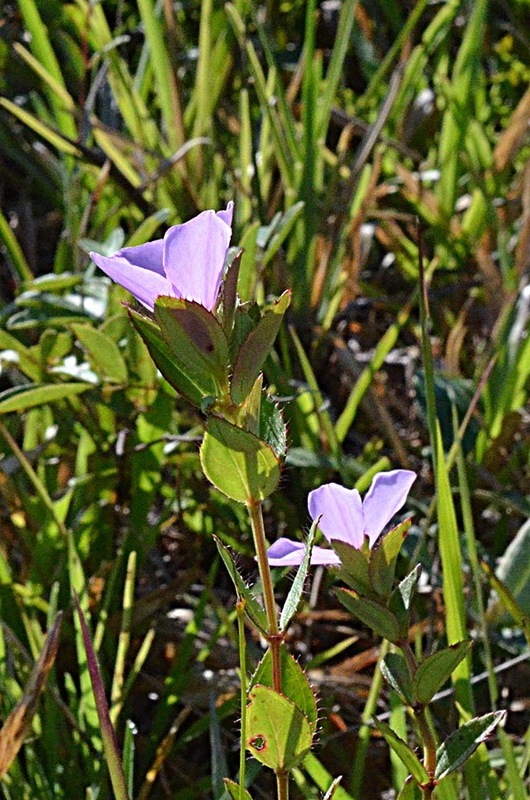 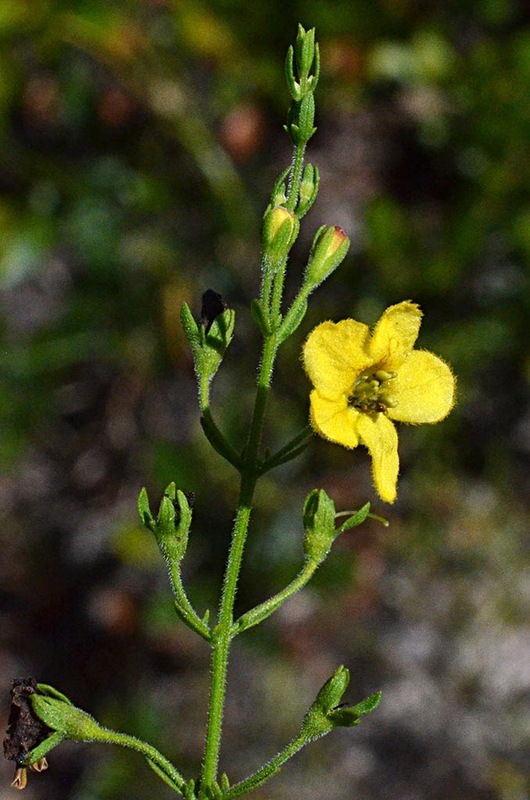 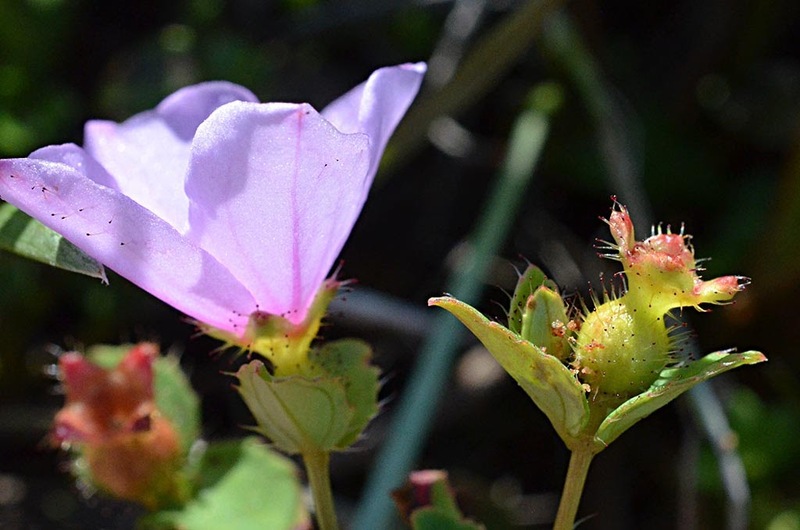 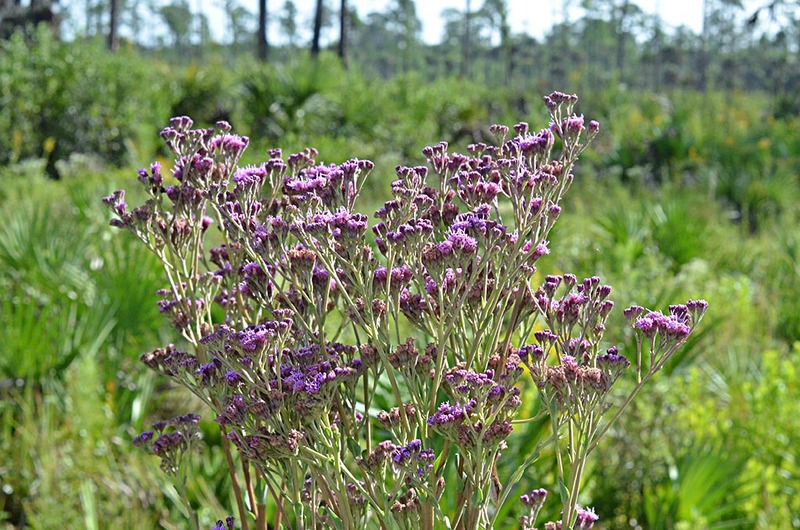 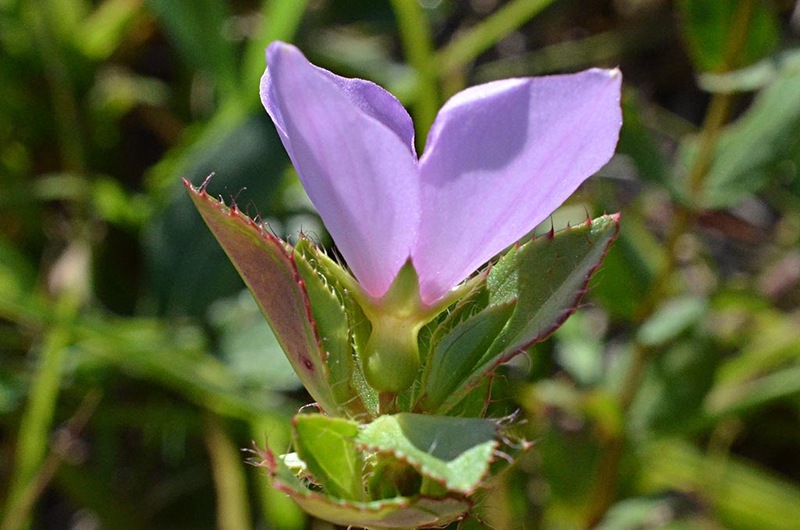 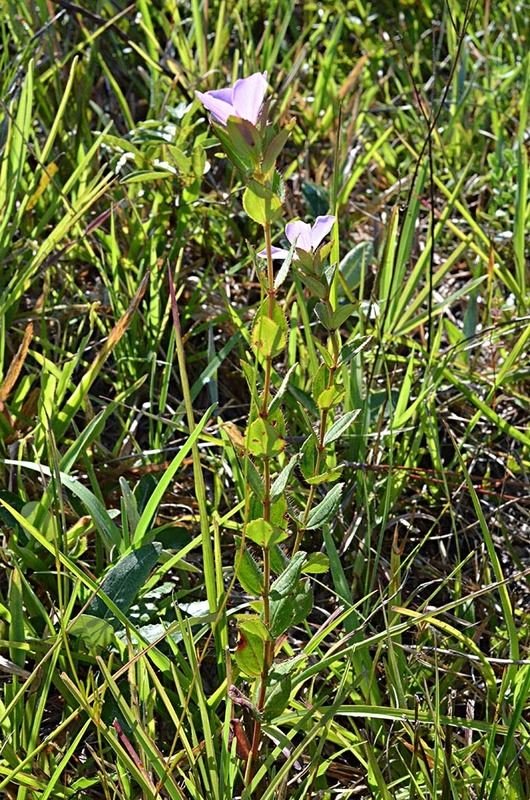 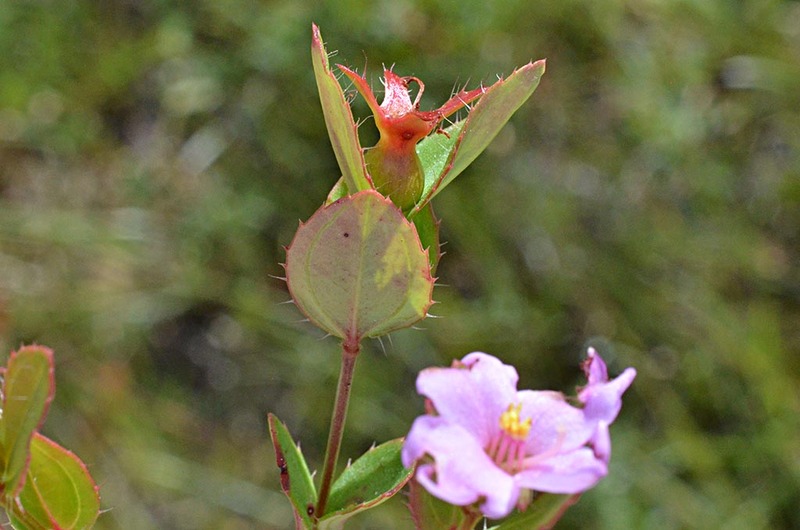 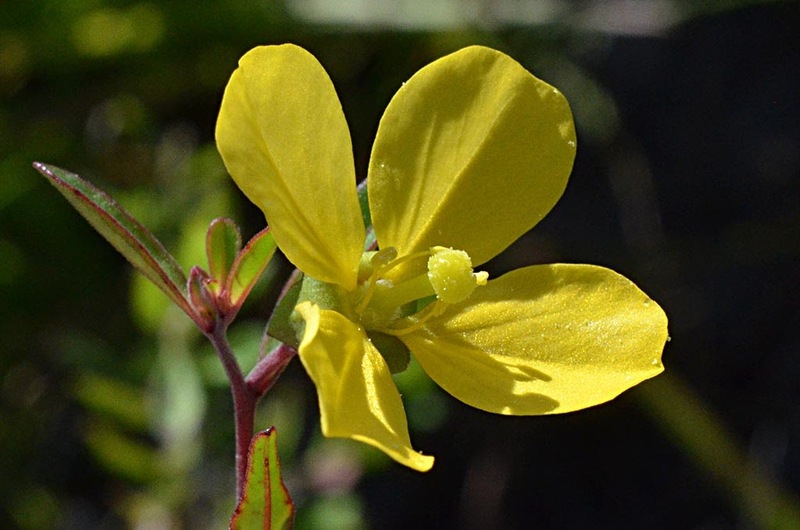 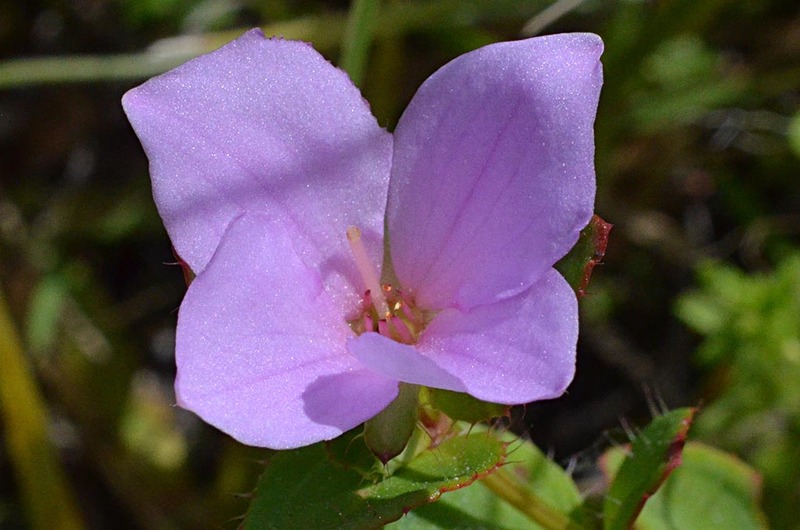 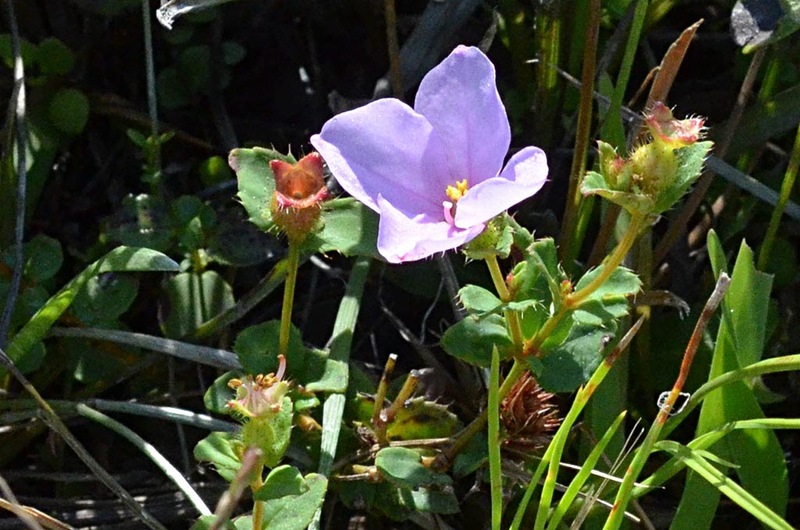 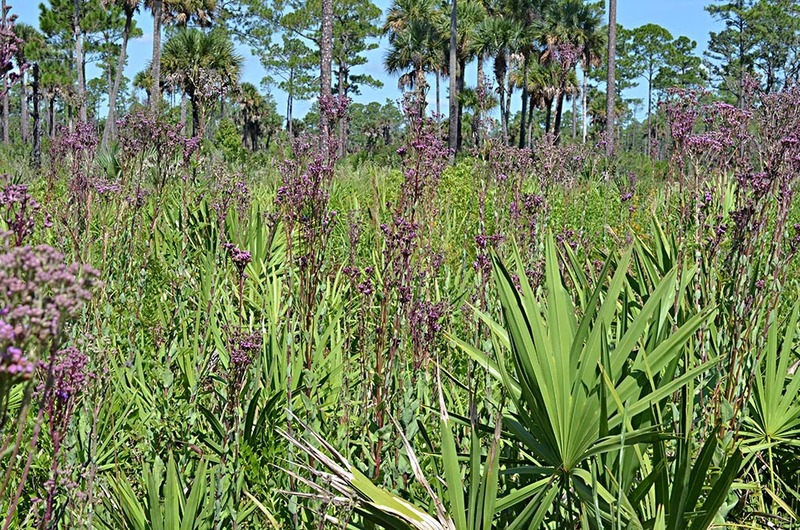 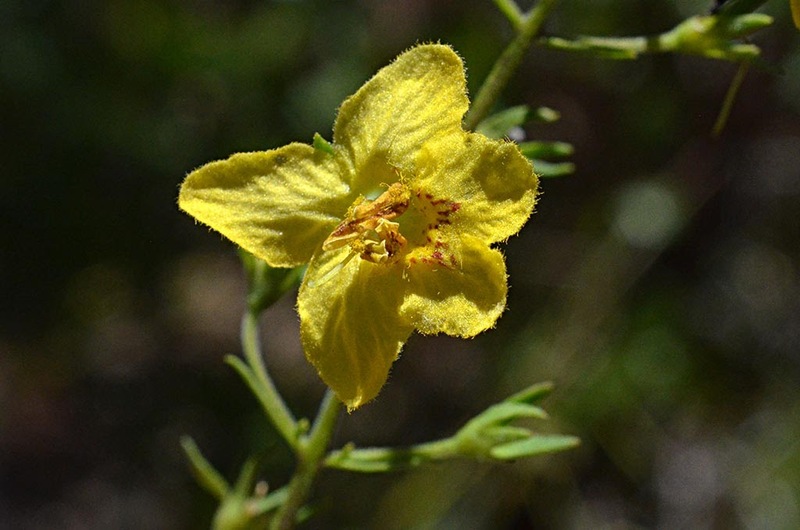 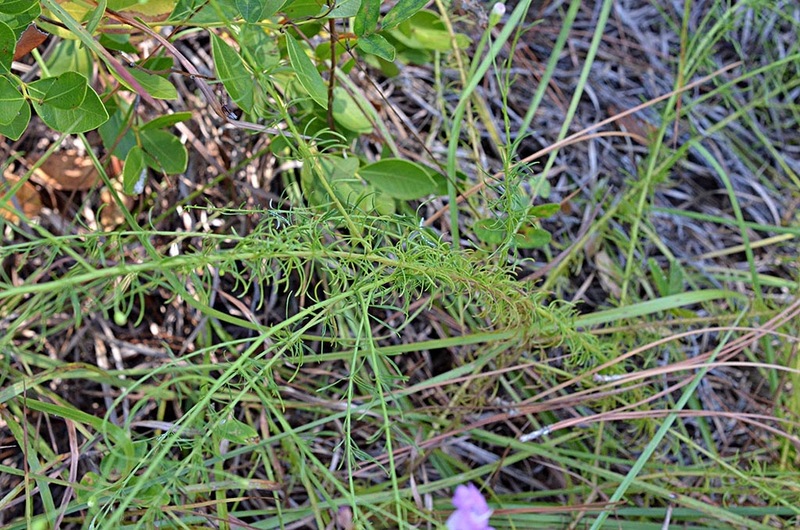 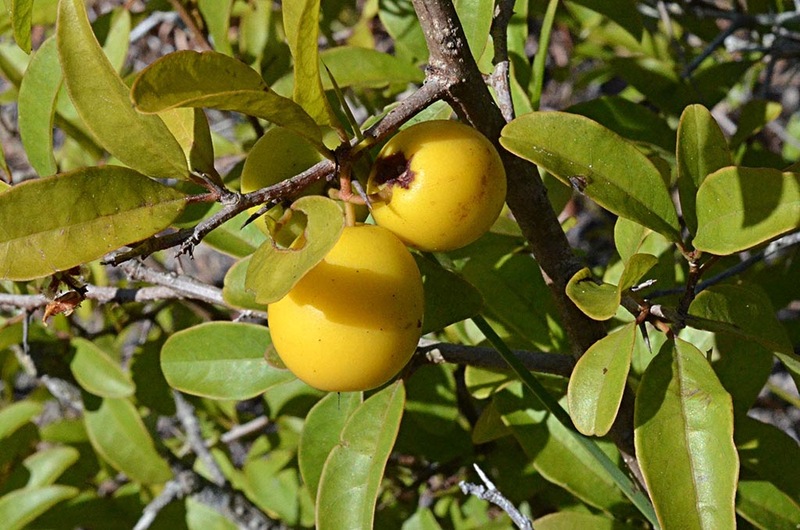 The main objective of this visit was to confirm that Rhexia petiolata and Rhexia nuttallii occur side-by-side in Tosohatchee, in particular the east side of St. Nichols Rd. 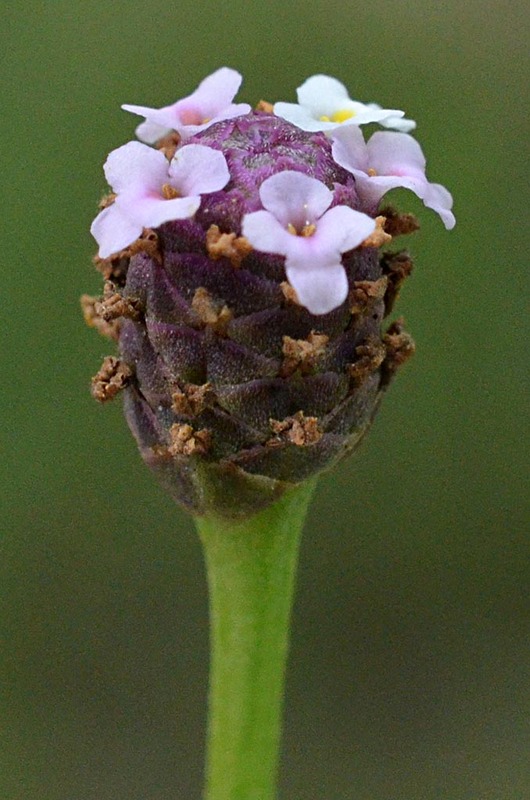 Hypanthium is without hairs. 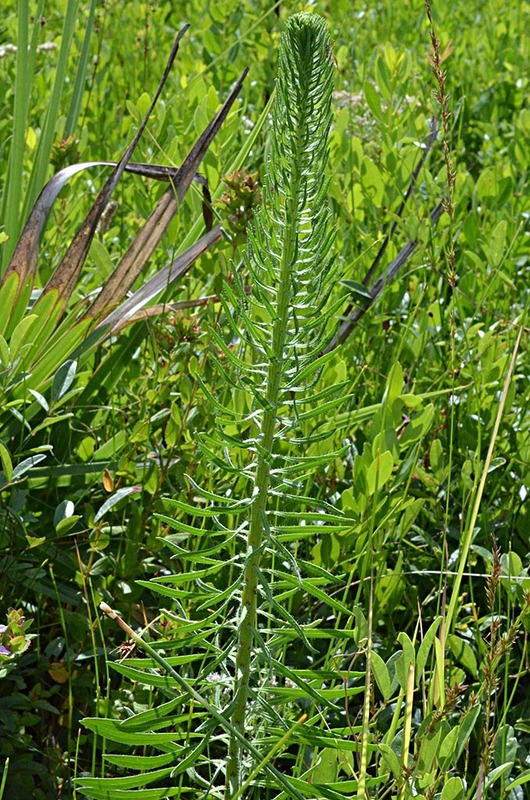 Also, R. petiolata is generally taller than R. nuttallii. 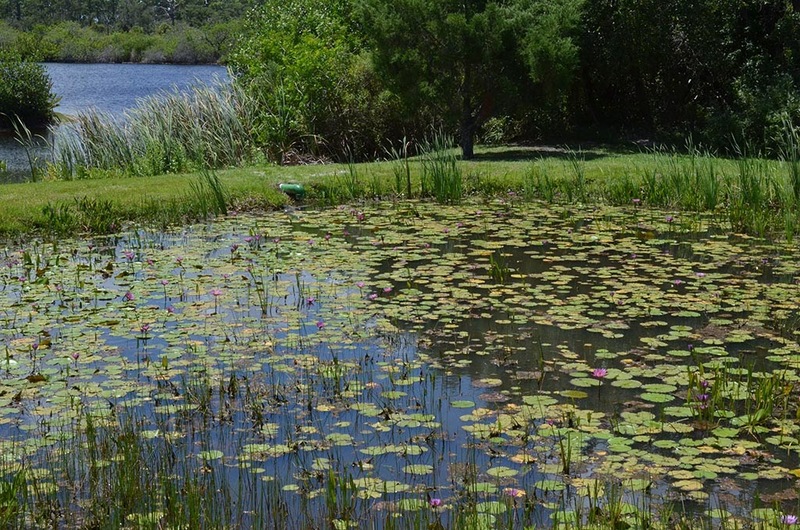 On a recent visit to Dale Wimbrow Park, we found that the small pond that had been filled with cattails had been cleared of the cattails and pretty purple waterlilies now grew there. 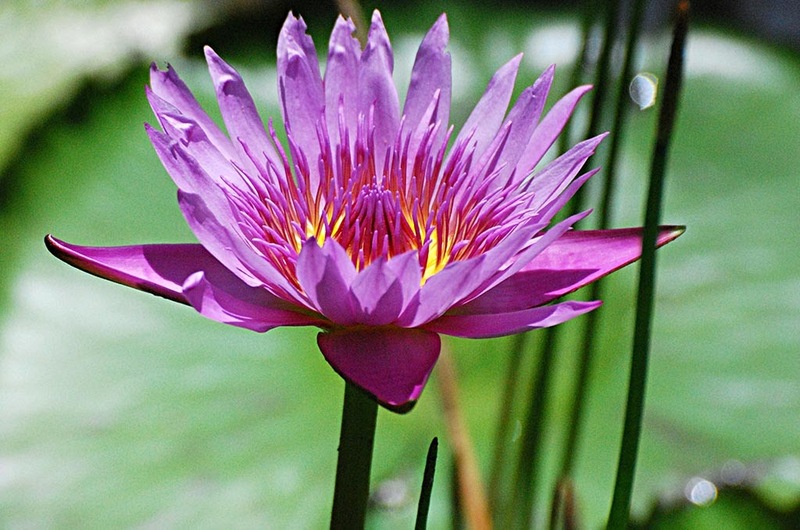 We returned on August 16, 2016 to photograph the water lilies. 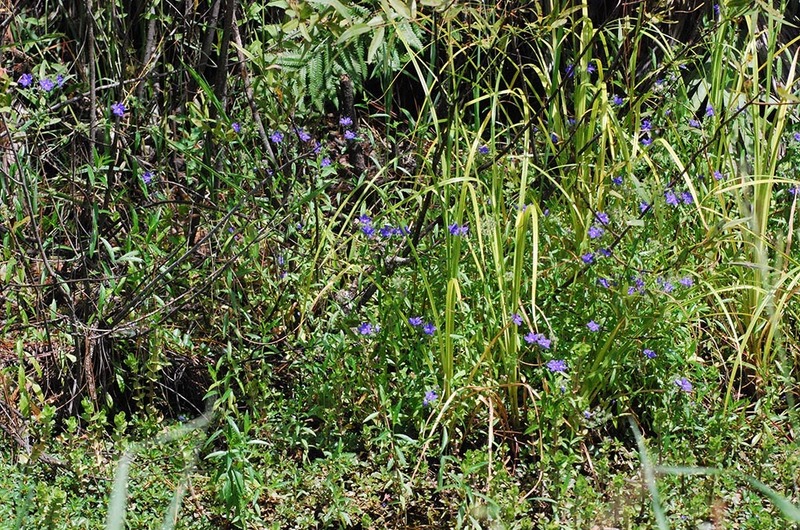 They turned out to be non-natives, escapes from someone's water garden. 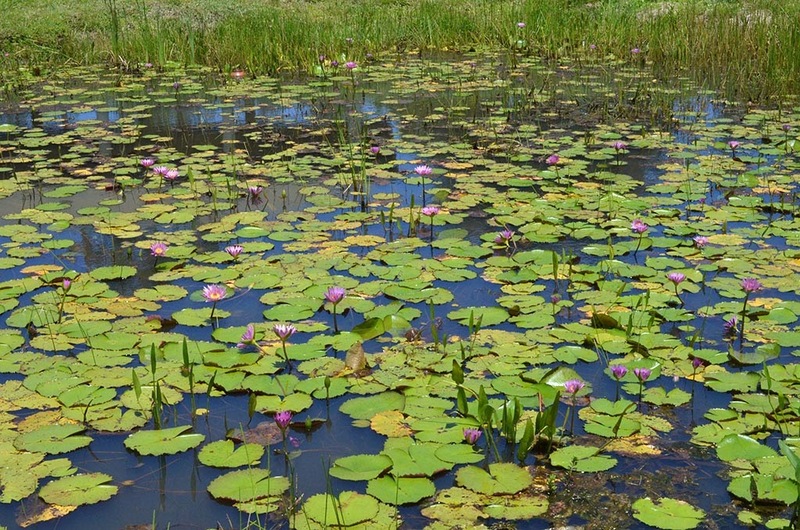 The lilies are Nymphaea capensis var. 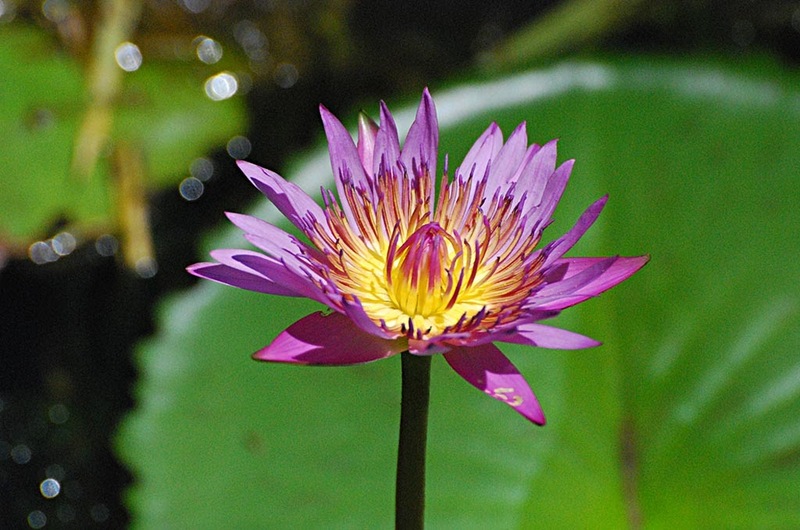 zanzibariensis, family Nymphaeaceae, common name Cap Blue Waterlily. 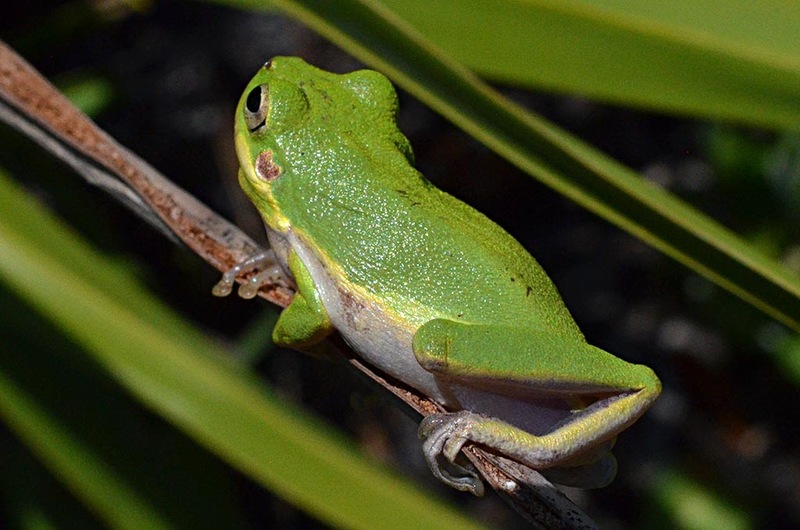 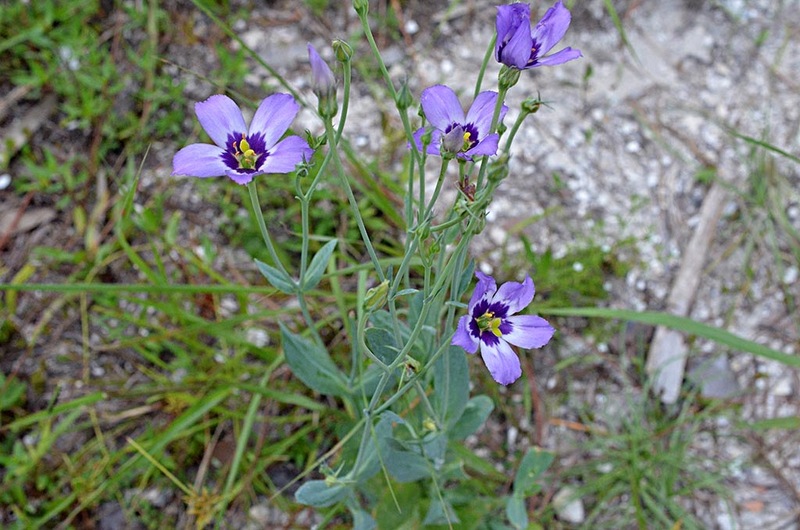 They have been found in the wild in about 10 counties in peninsula Florida. 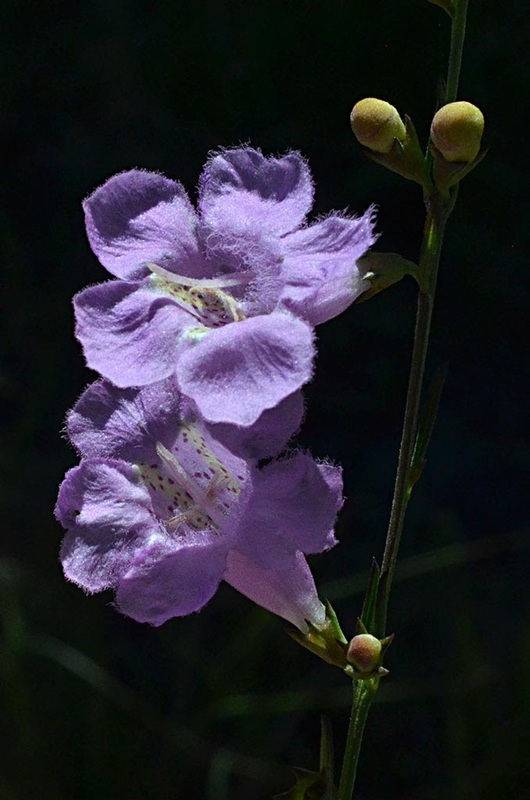 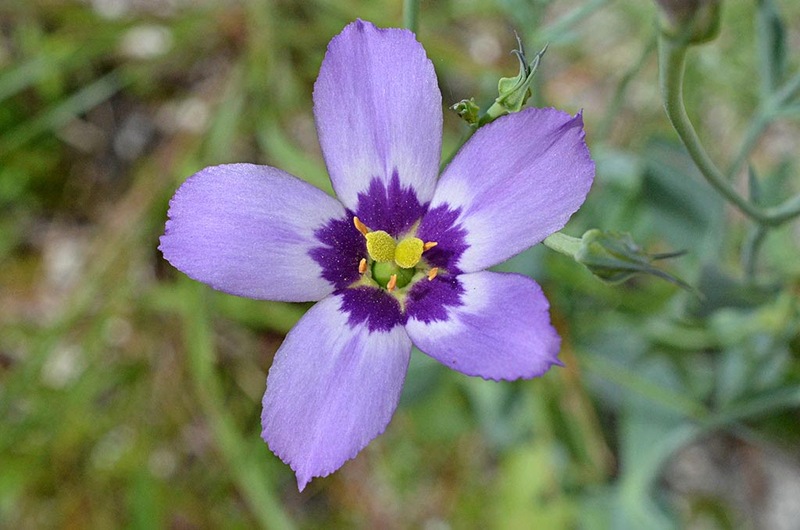 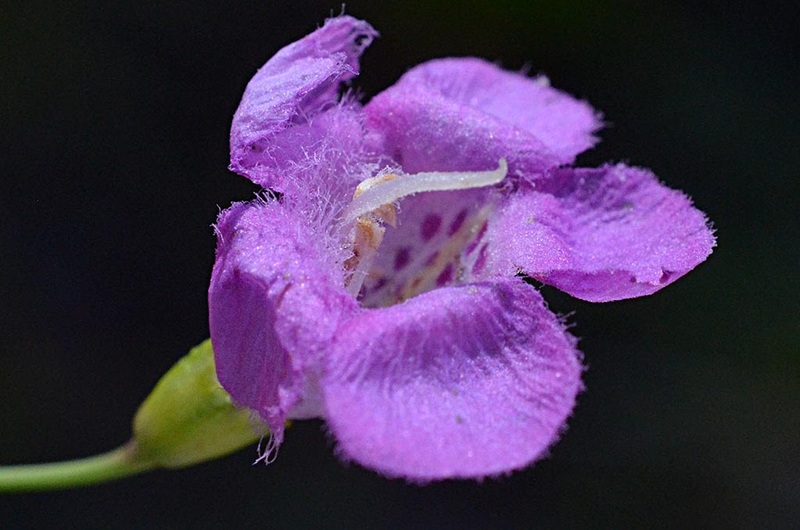 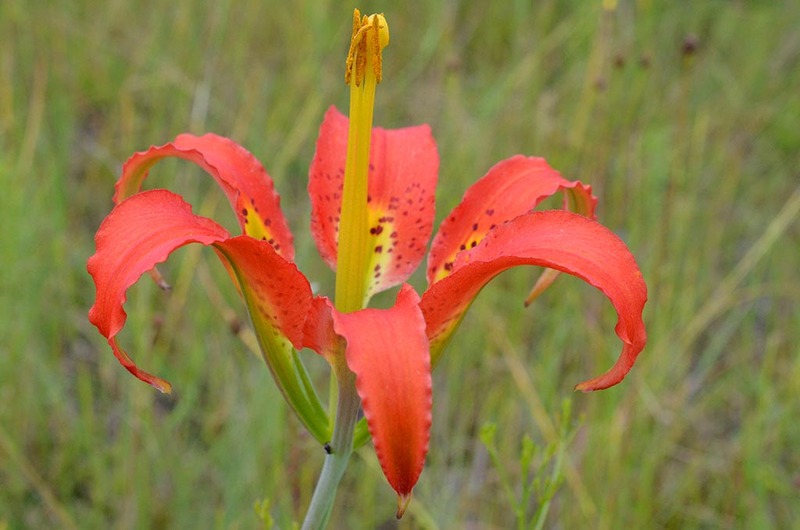 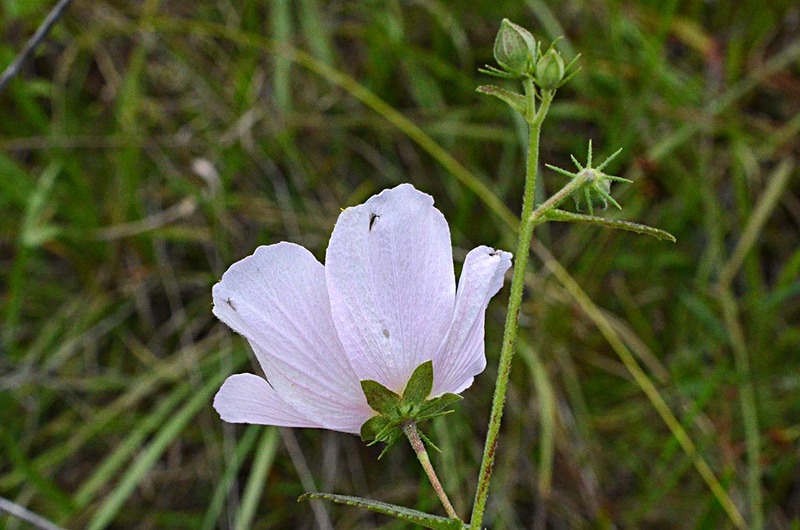 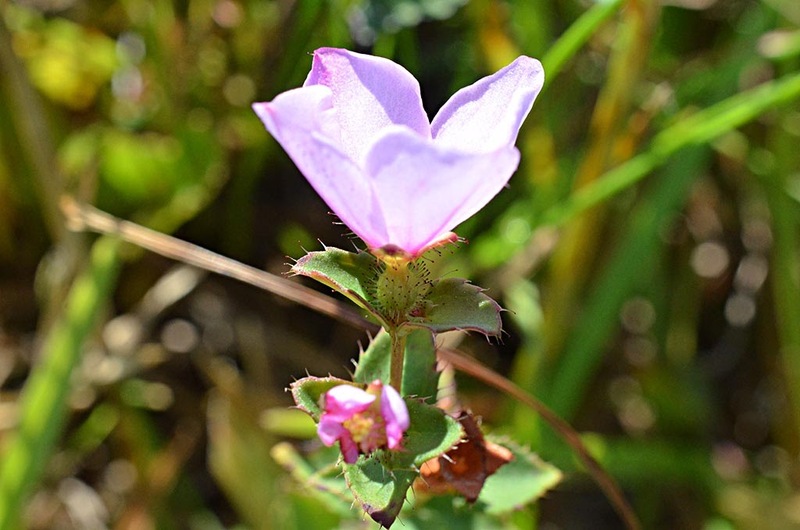 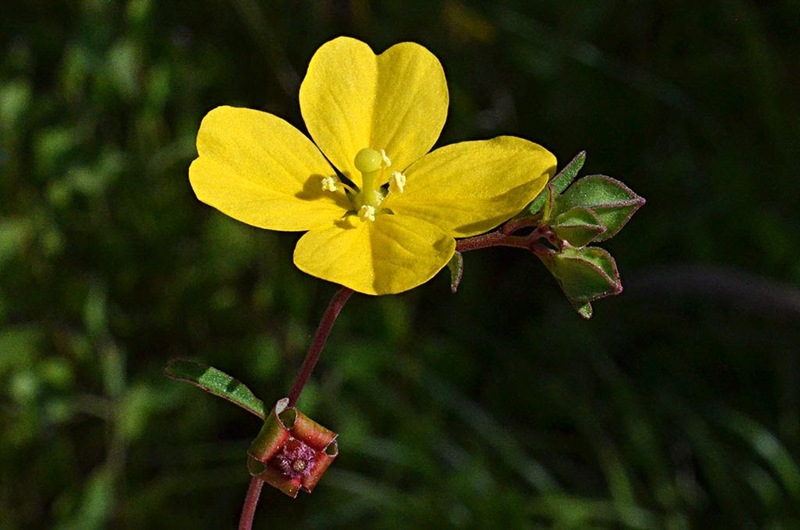 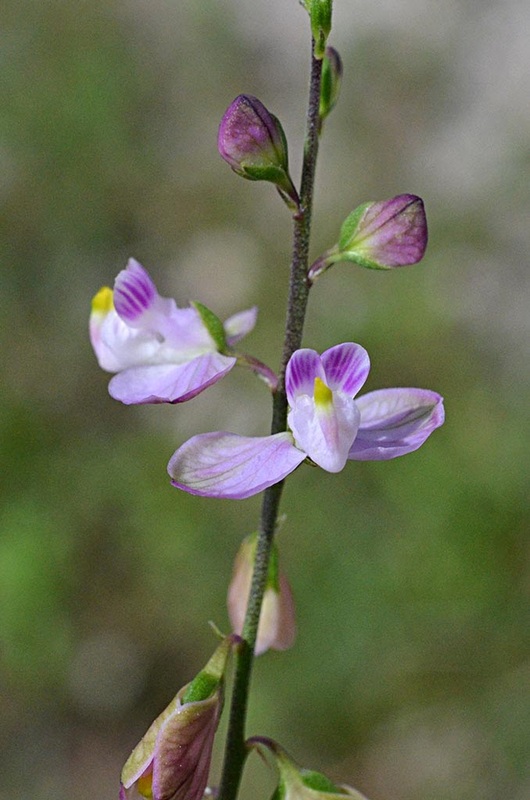 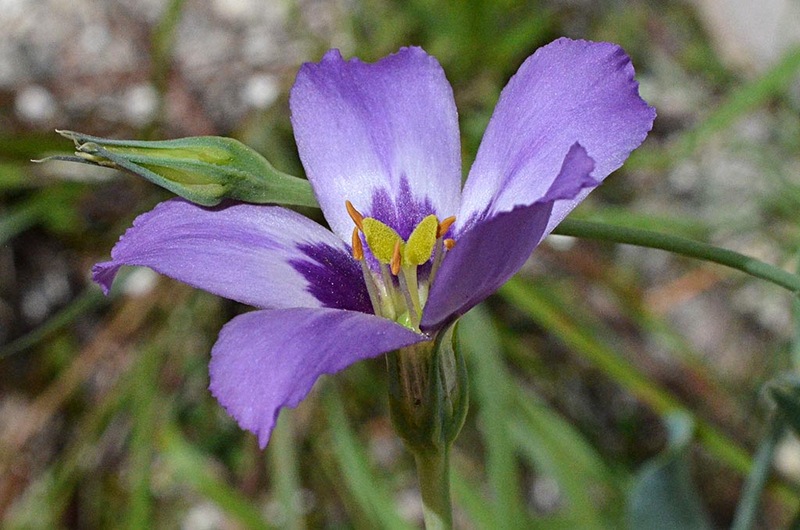 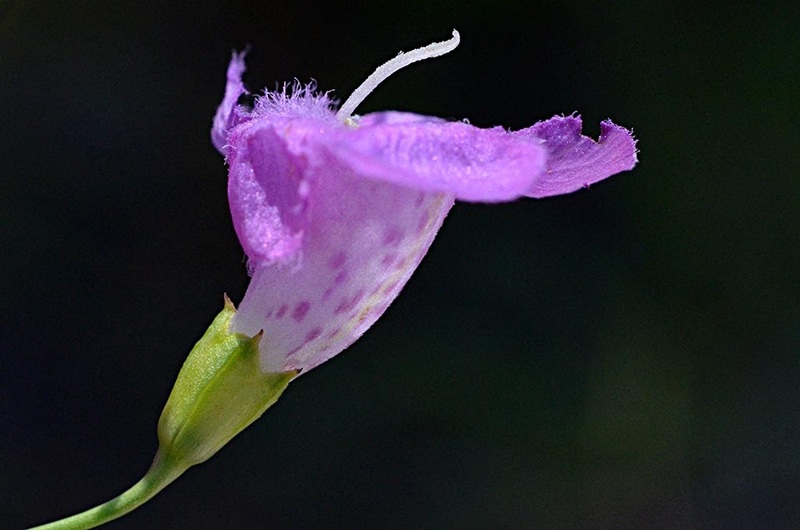 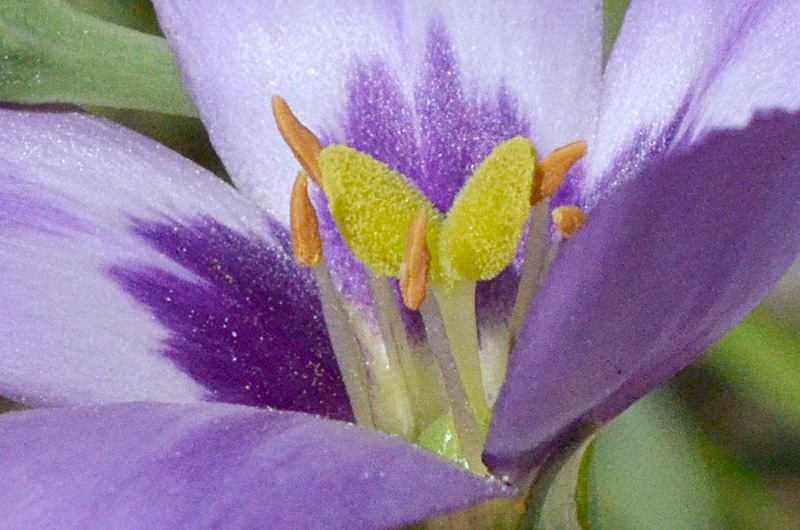 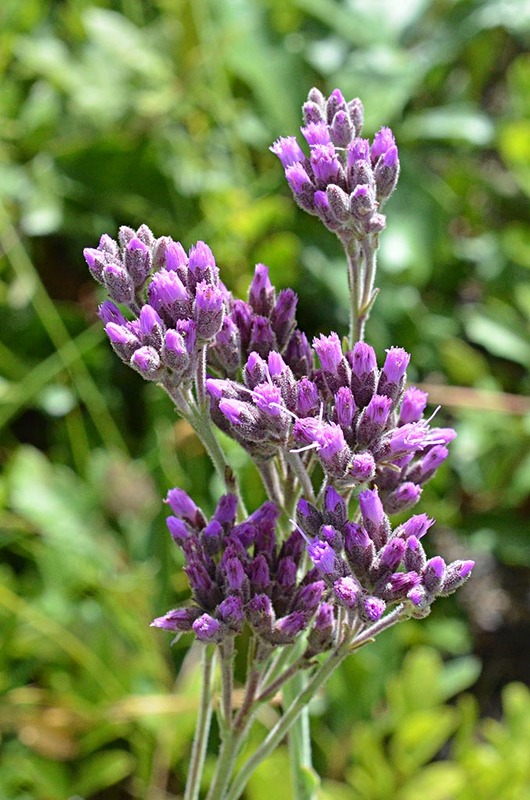 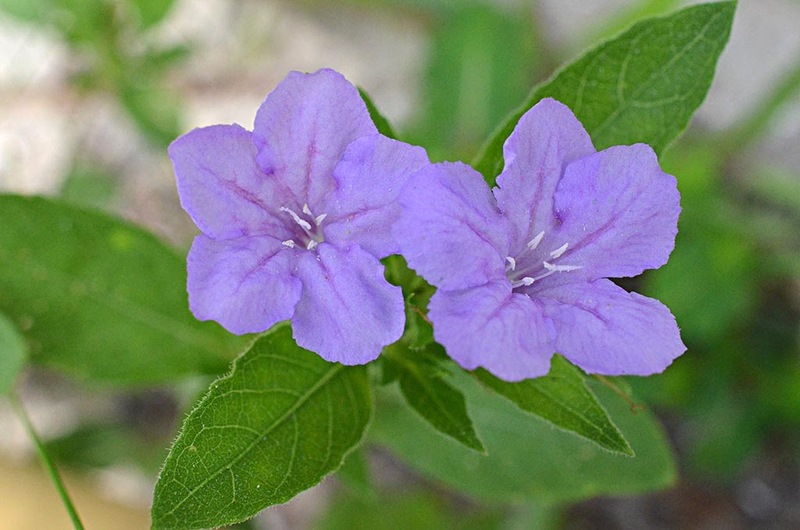 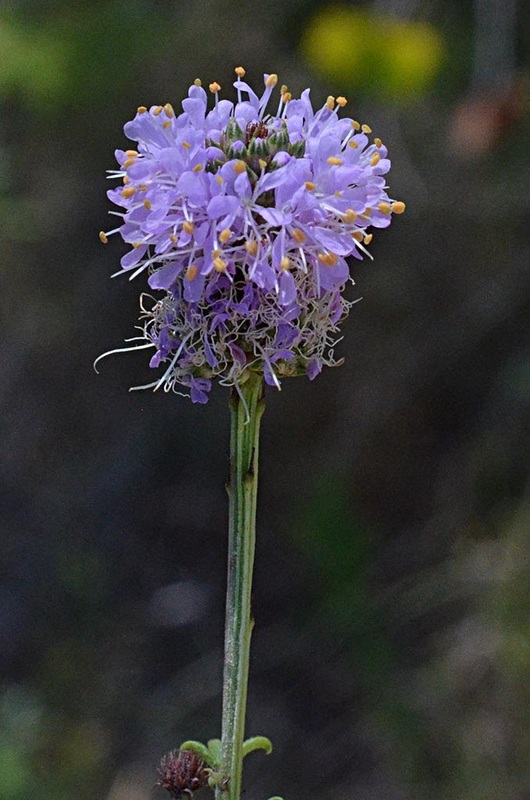 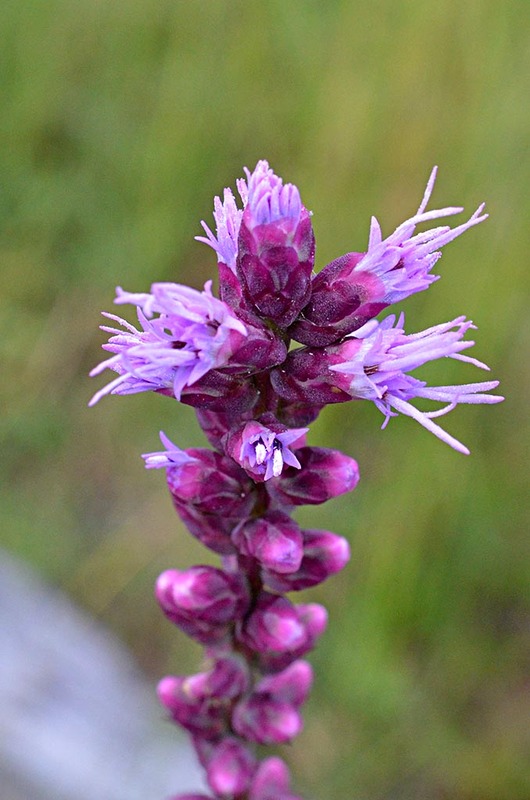 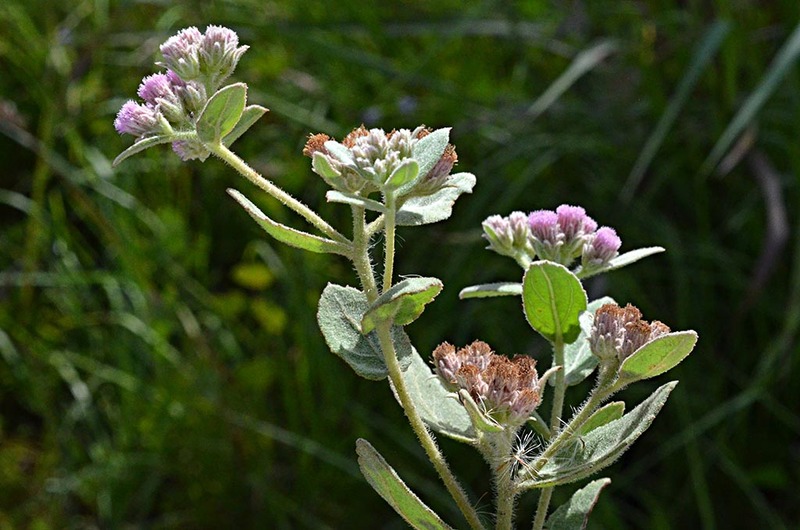 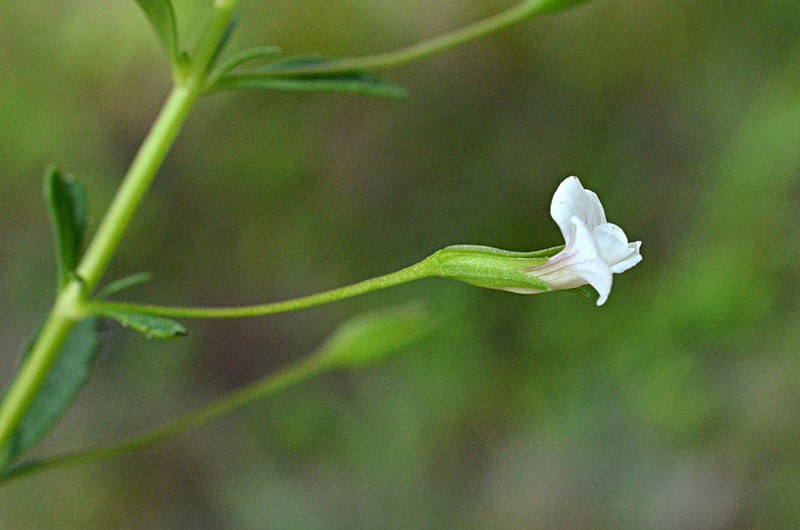 This species has 12-24 petals, blue, lavender, or purple. 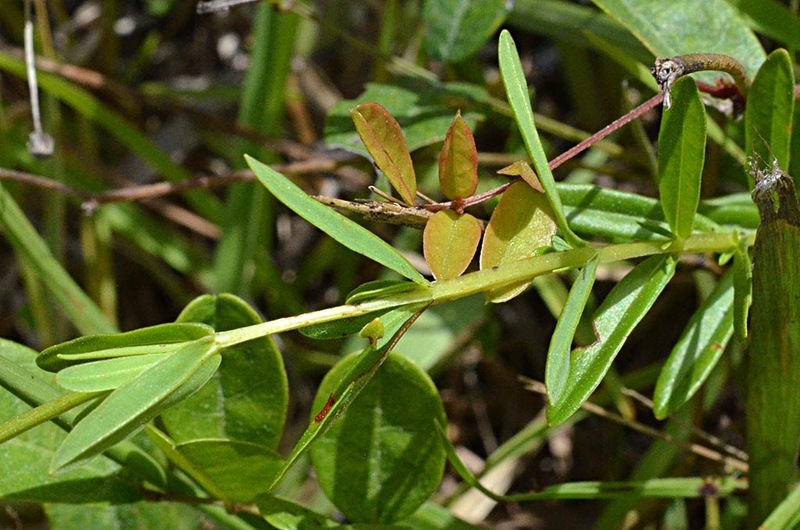 Leaf margins are sinuate to almost dentate. 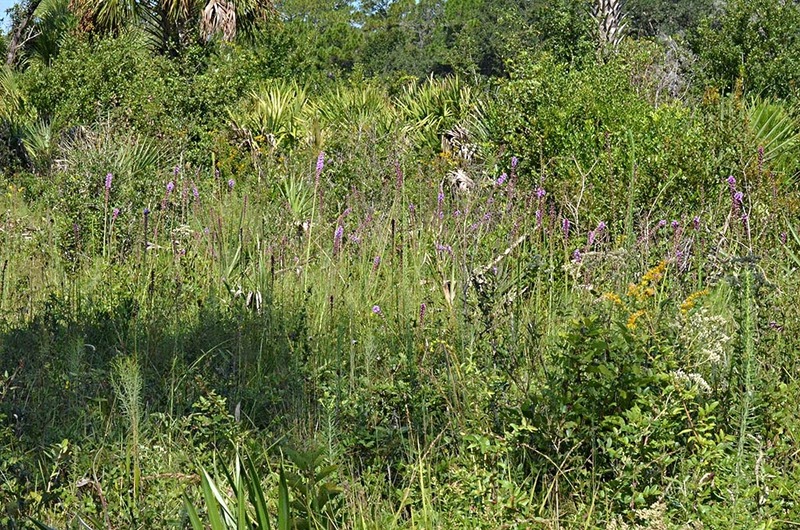 Dale Wimbrow Park is located on the St. Sebastian River, which can be seen in the background in the first photo below. 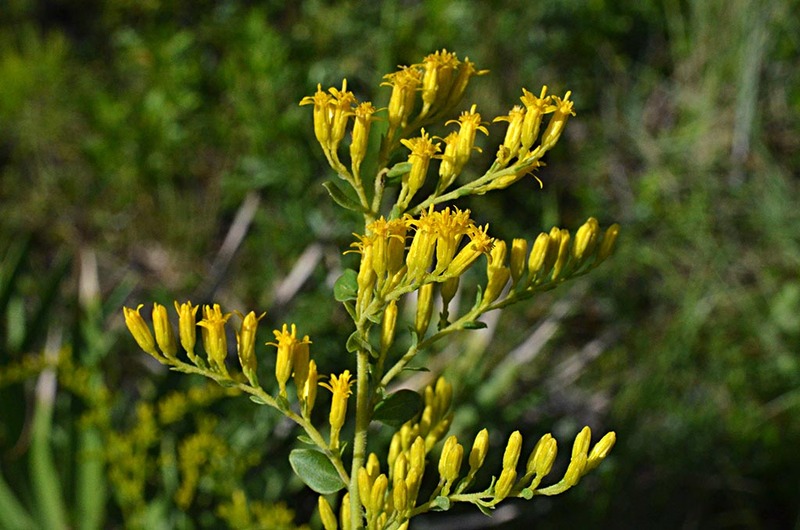 Goldenrod was the most widespread and visible wildflower seen during this visit. 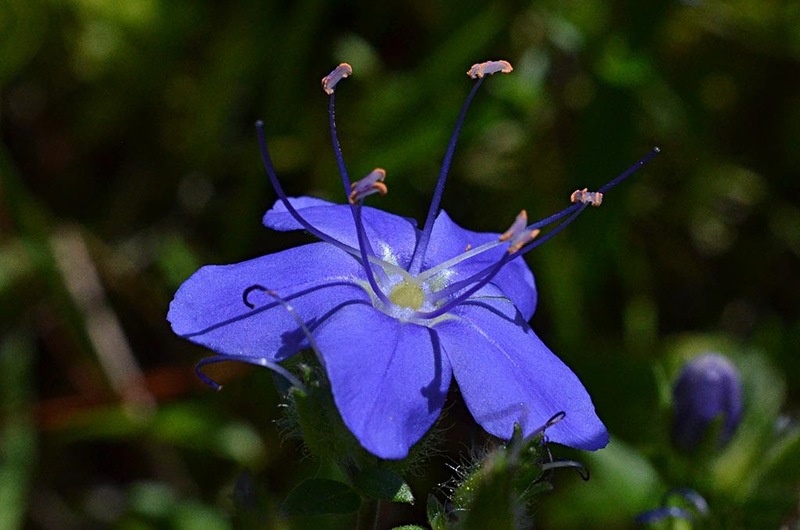 We saw lots of blue mist flower and skyflower. 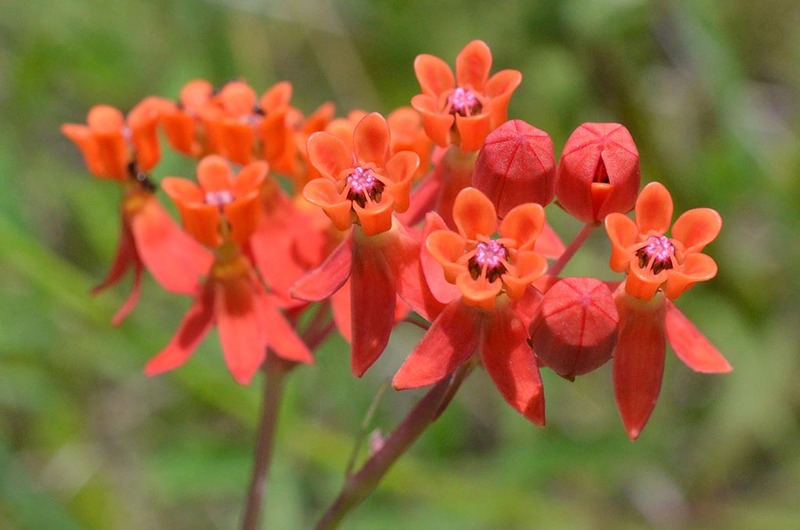 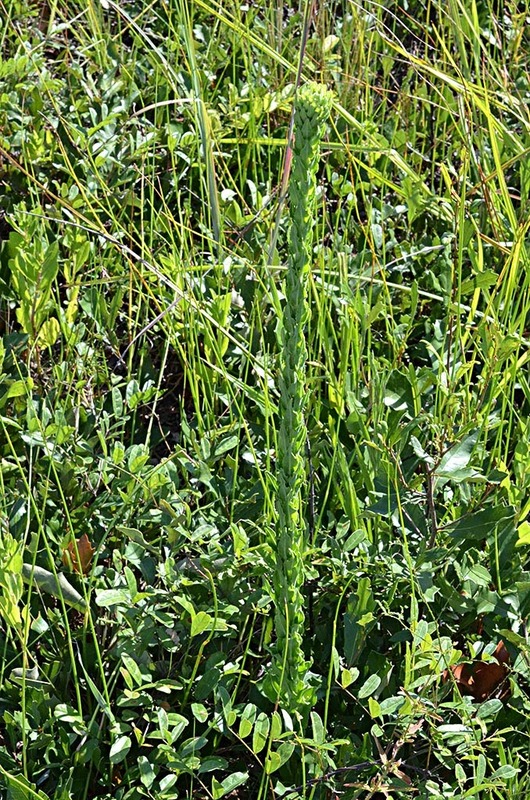 The prize sightings were fewflower milkweed and pine lily. 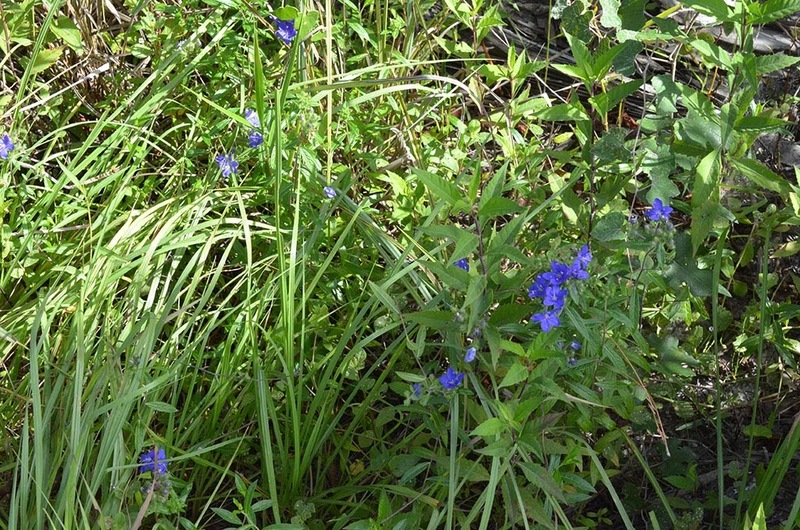 As usual, the blue doesn't photograph well. 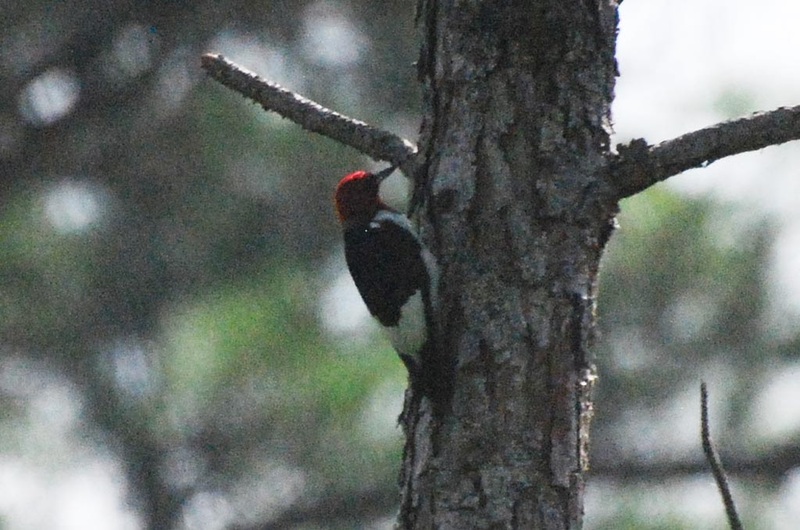 Images show up as pinkish. 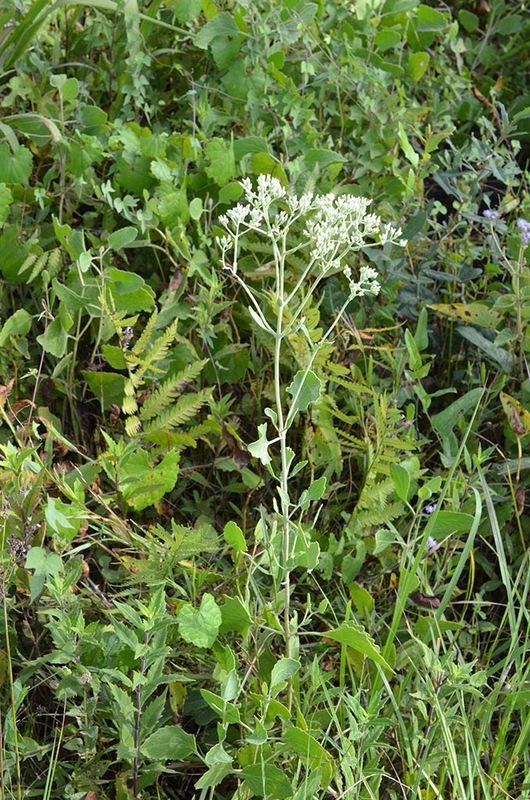 Common in the swales alongside St. Nicholas Rd. 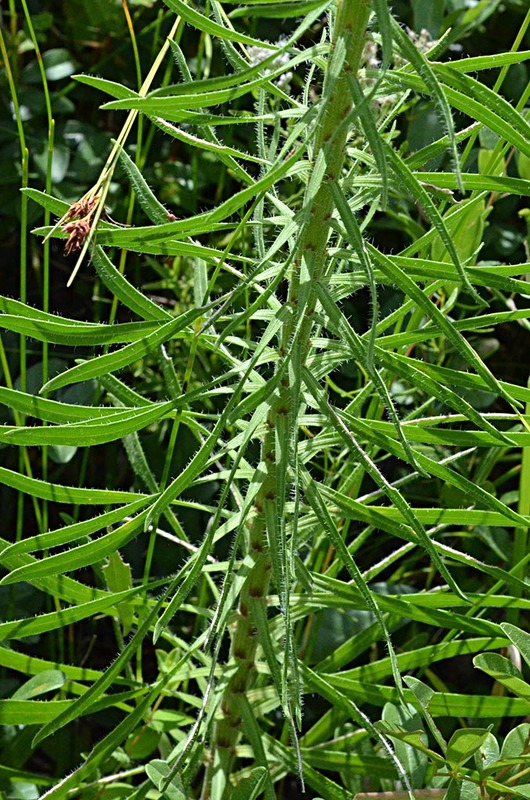 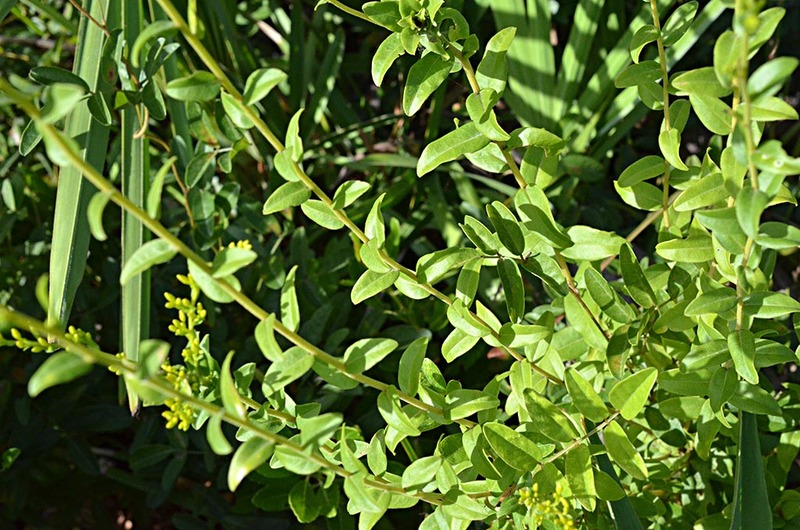 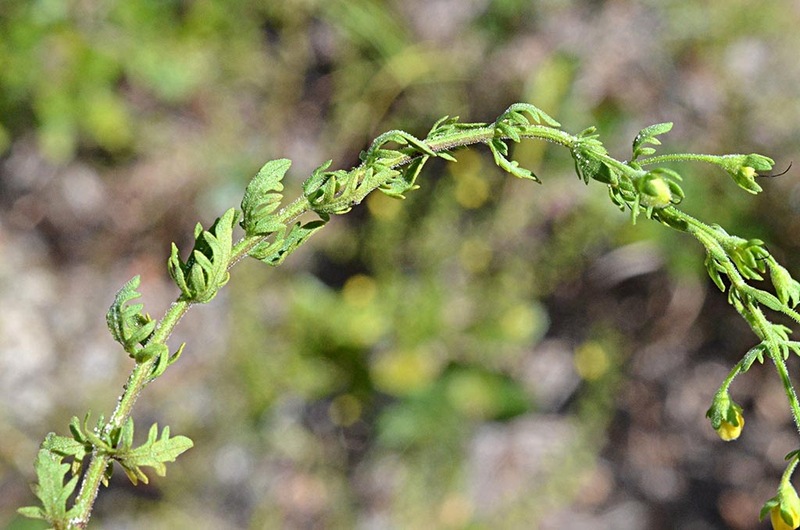 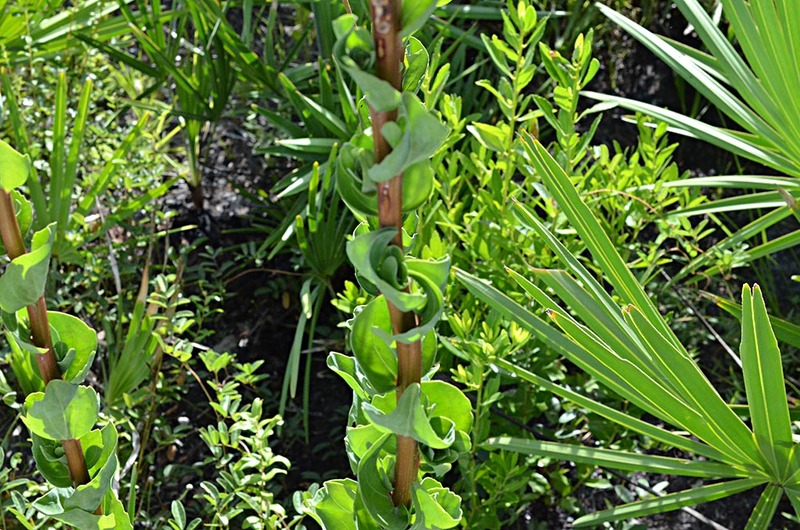 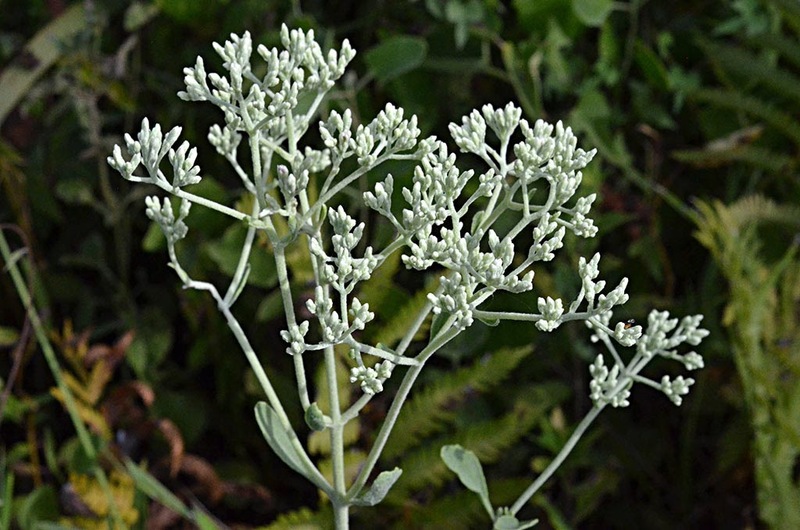 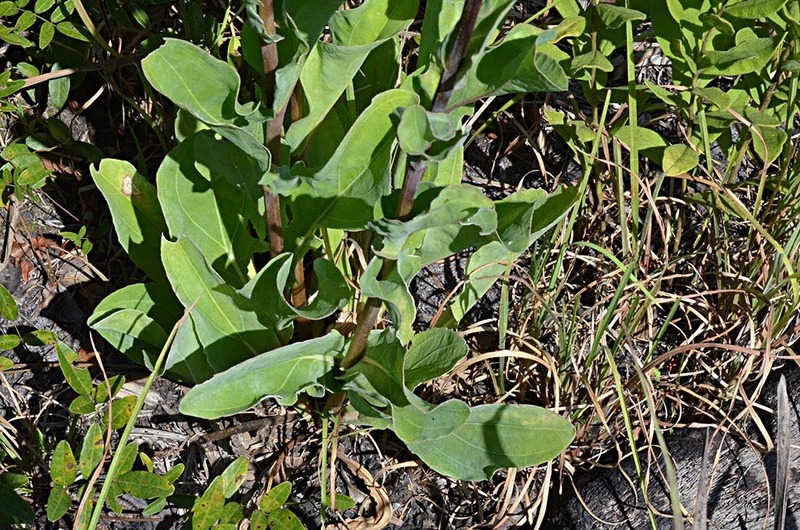 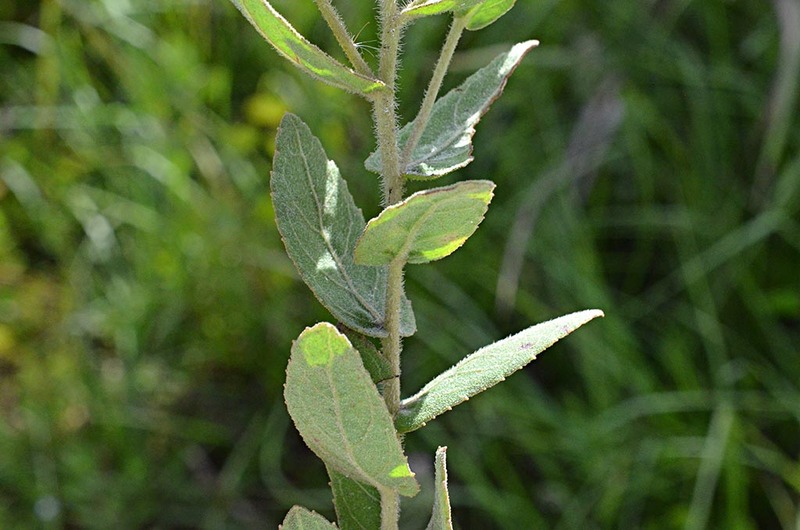 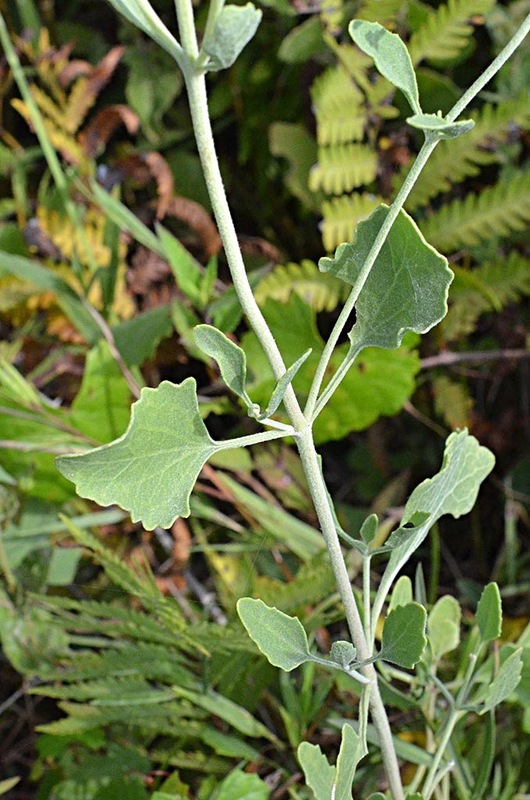 Distinctive leaves: wavy, curved upwards, hugging stem. 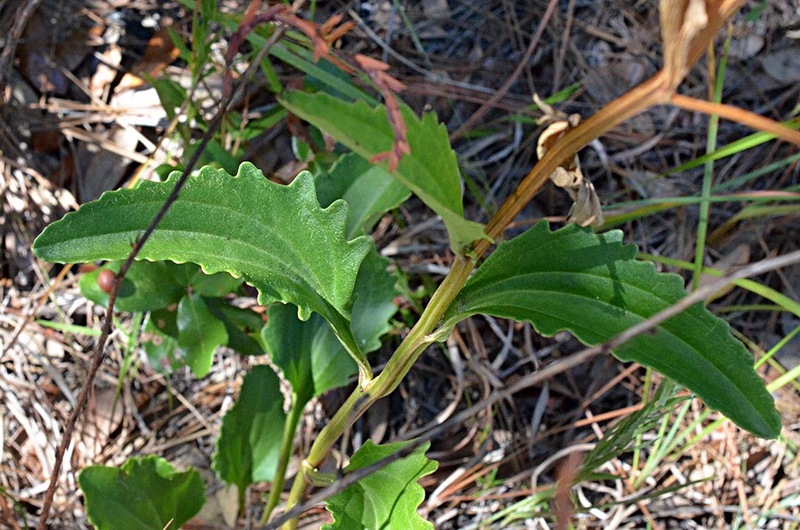 Plant has a vanilla odor, especially when dried. 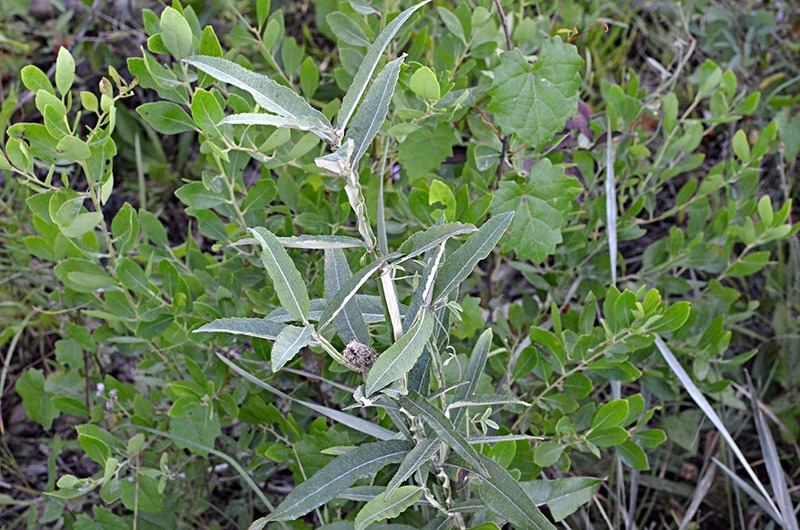 The leaves are distinctive: Lower leaves the larger, decreasing upward. 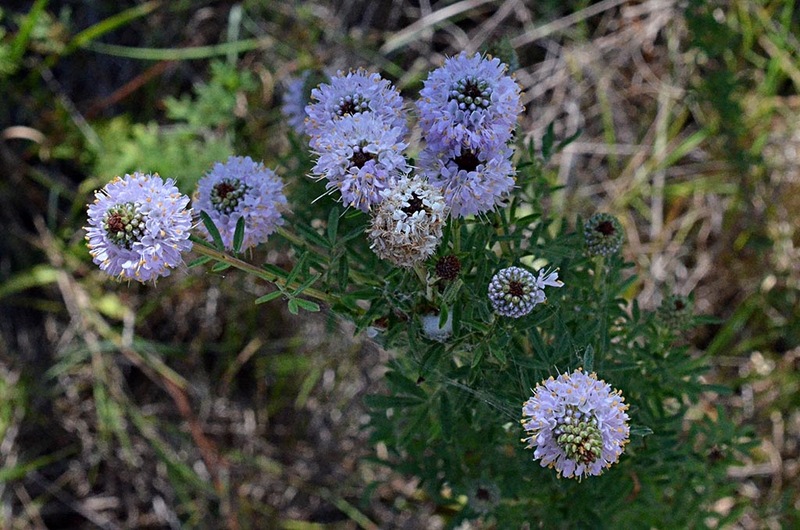 We missed these on the way in, but spotted them on the way out, about midway on St. Nicholas Rd., west side. 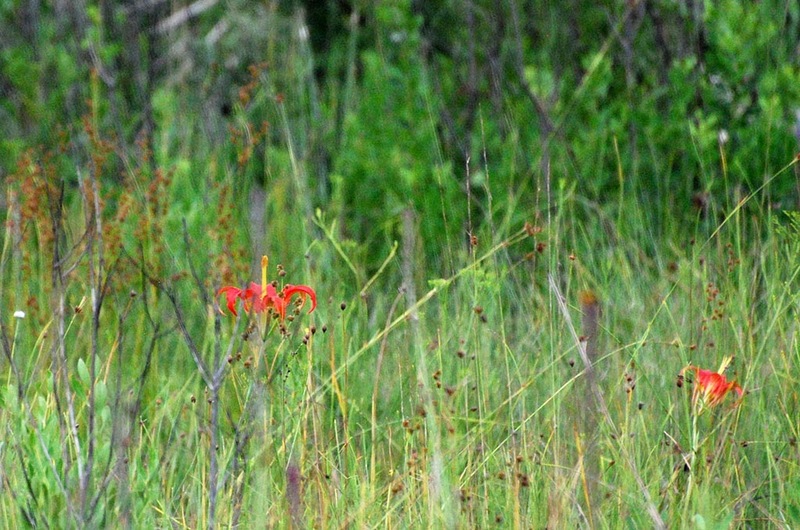 A rare sight for us; we've never seen them in Brevard Co.